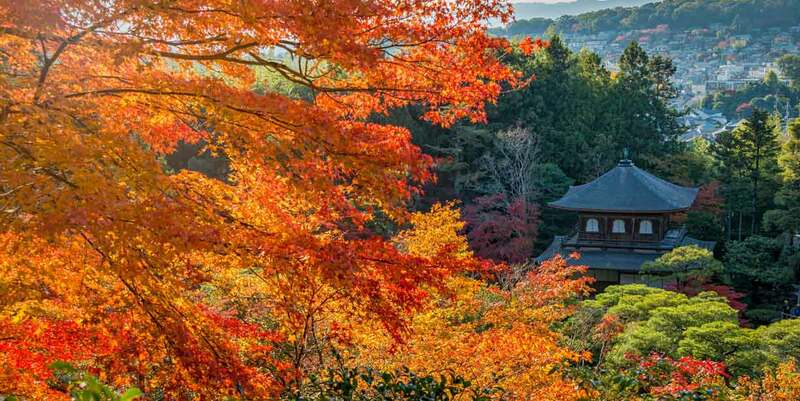 Crisp air, brightly colored leaves in hues of gold and red, and the relaxing sound of fallen leaves crunching under your feet—Japan in fall is an absolute delight! 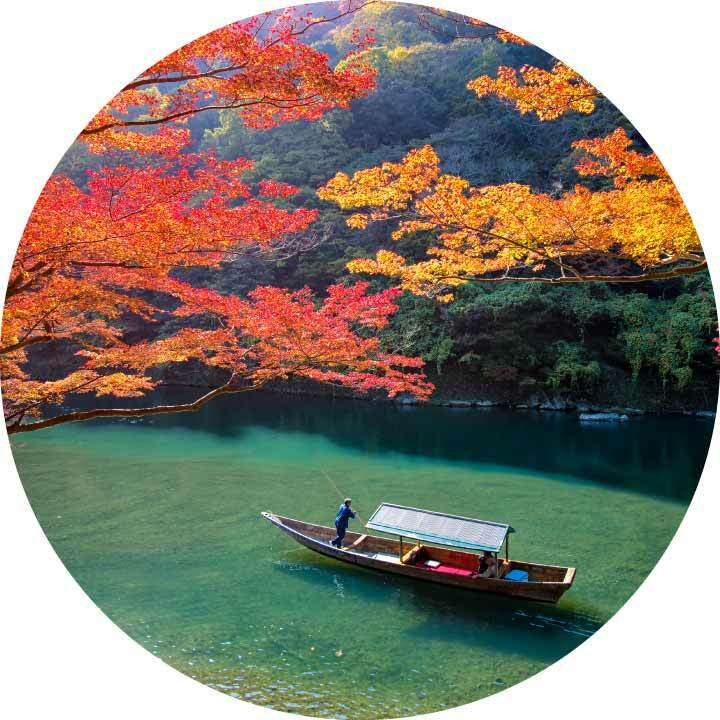 This guide helps you figure out when to see autumn colors in different areas in Japan, book exciting tours and activities, know what to wear, find mouthwatering local delicacies and even learn a few handy words. 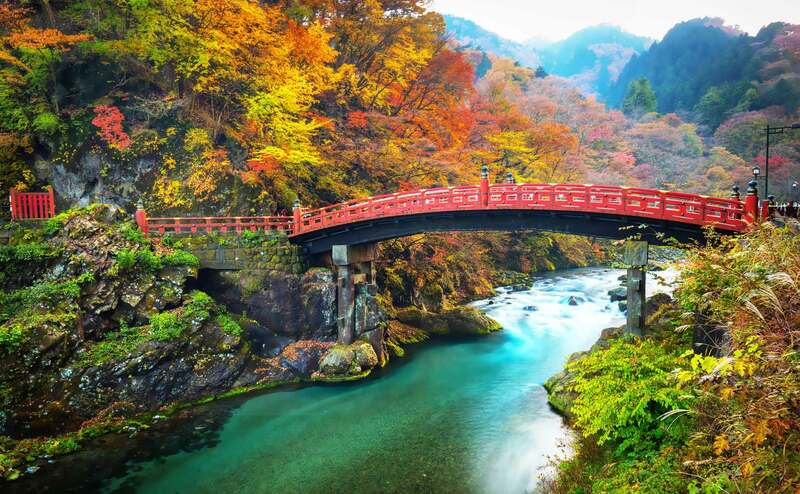 VELTRA is here to make your fall trip to Japan an unforgettable one! 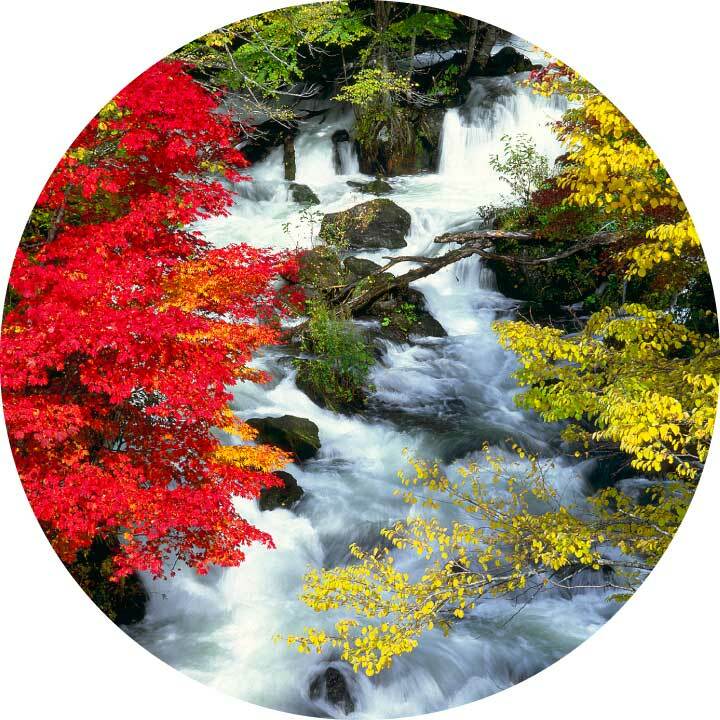 Japan's fall foliage can typically be seen from early September to early December. 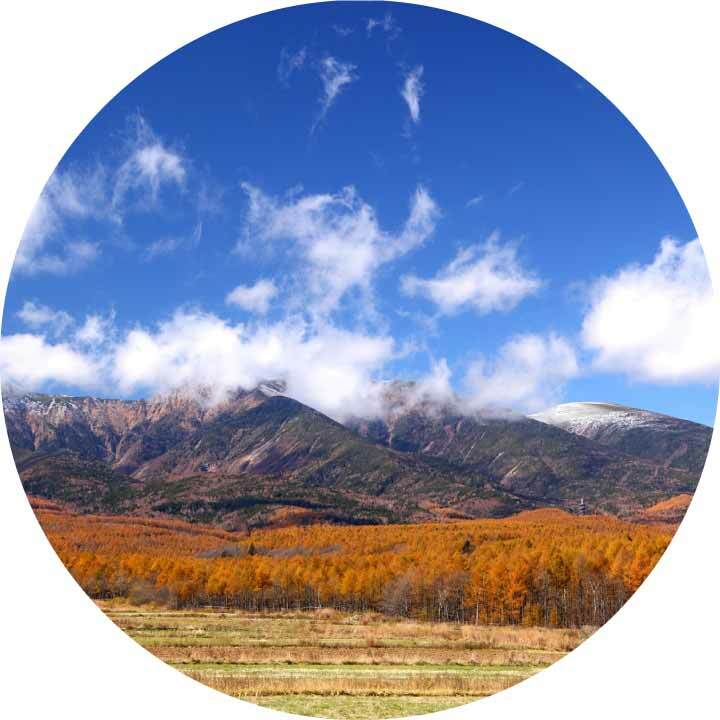 The turning of colors starts from the northernmost prefecture of Hokkaido, which gradually moves downward to the rest of the country. The optimal viewing dates vary according to area, so make sure to prepare beforehand and check the forecast. Please note that the written dates are forecasts only. Actual dates may vary according to weather conditions. 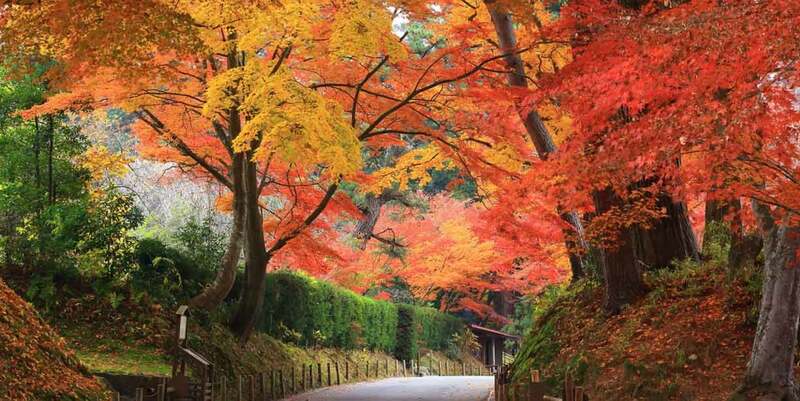 Fall foliage can be seen almost anywhere in Japan, but Kyoto tends to be popular during this season. 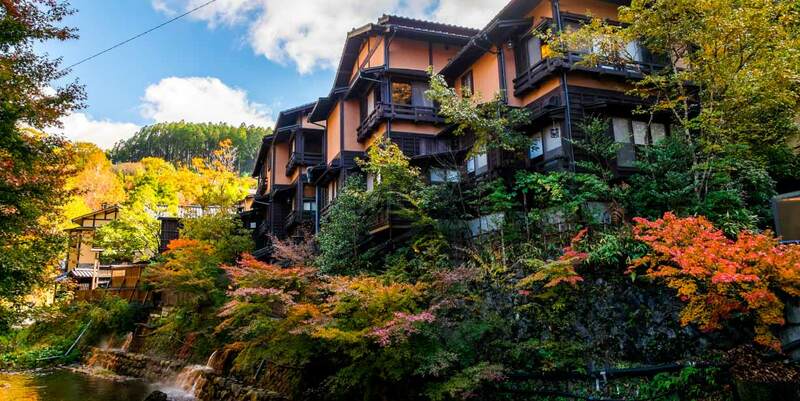 The prefecture's traditional Japanese architecture blends perfectly with fall colors and evokes a nostalgic feeling. 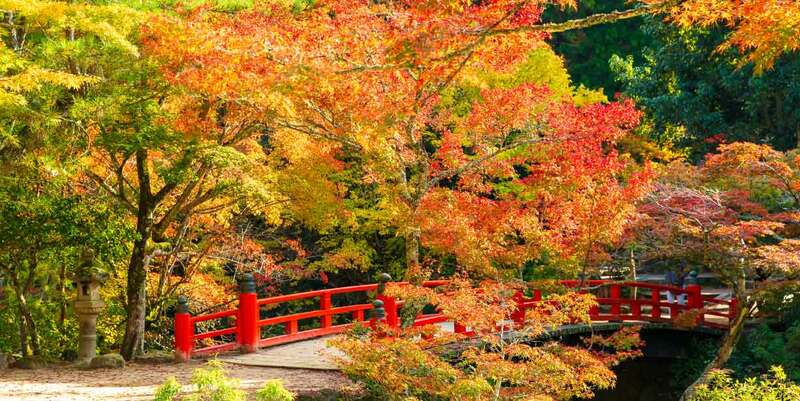 Similarly, Tokyo's traditional Japanese gardens make for a pleasant stroll during the fall season. 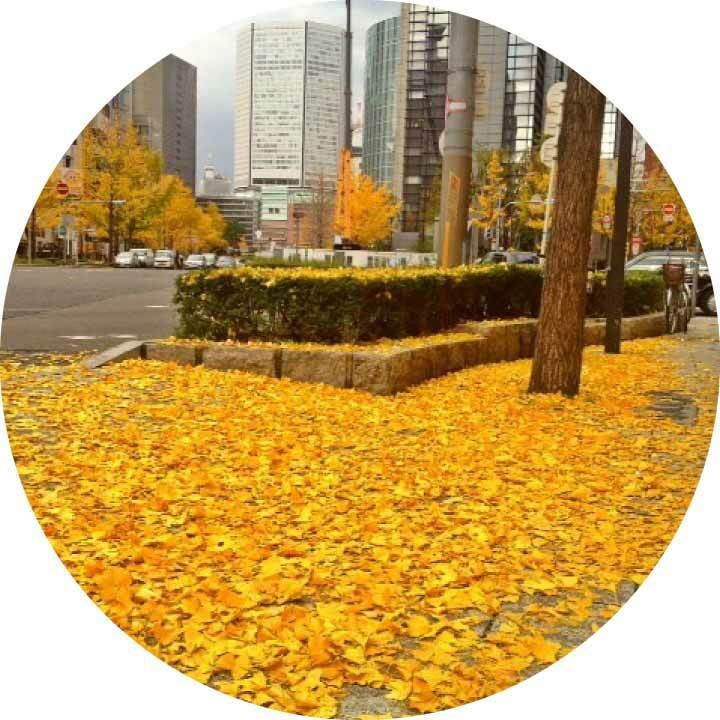 Modern streets glowing with the warm yellow of perfectly-lined gingko trees add to the city's delightful sights. 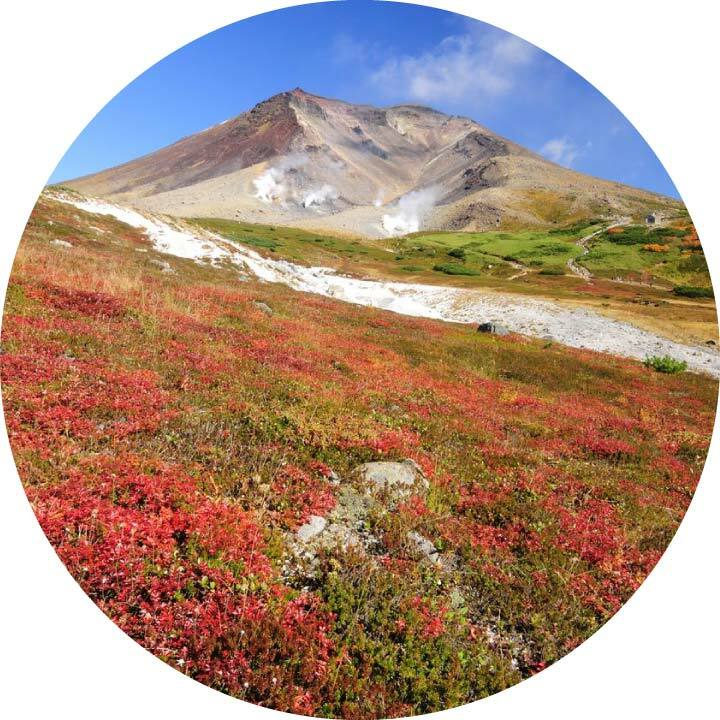 Tokyo also serves as a good starting point to explore Kanto's enchanting natural landscapes, with Mt. 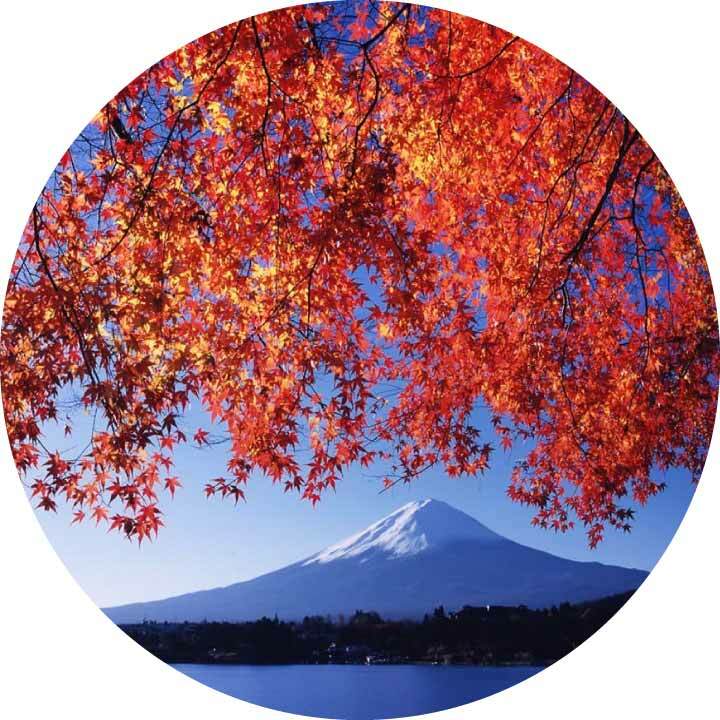 Fuji, Nikko and Nagatoro among the popular fall sightseeing spots. Miyajima in Hiroshima is a particularly special treat. 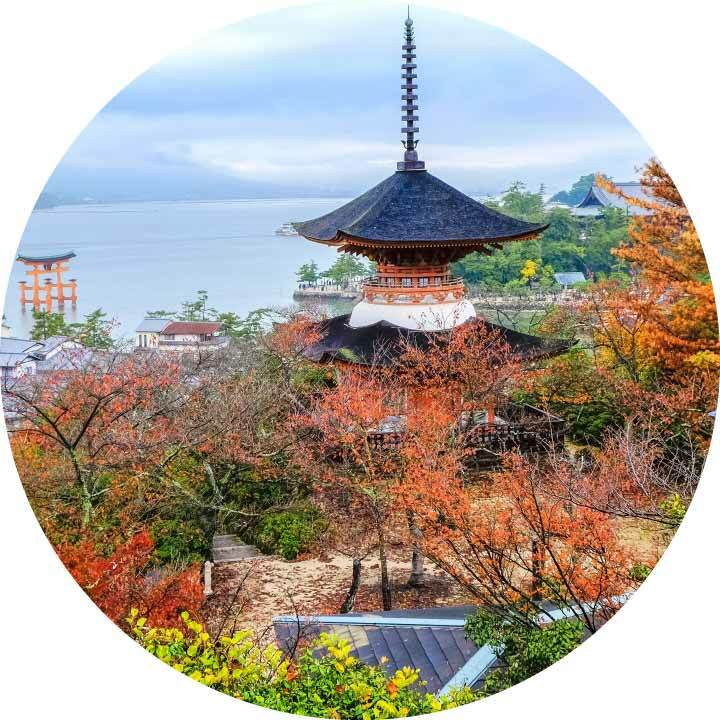 Visitors to the small island get to see the vermillion magnificence of Itsukushima Shrine as well as the alluring red of maple leaves. The deer strolling freely around the island make pefect photo opportunities, too. 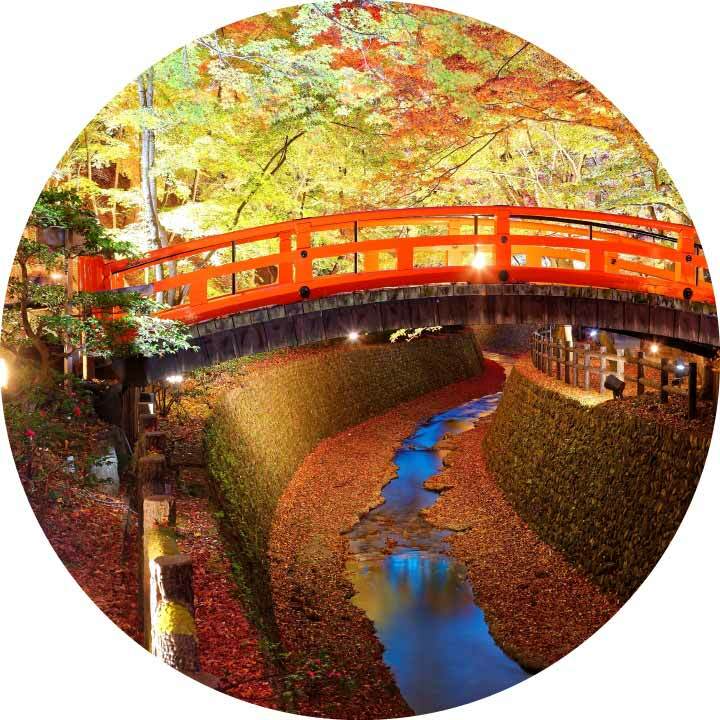 With day trips and multi-day tours, VELTRA offers convenient and exciting ways to spend your time in Japan. 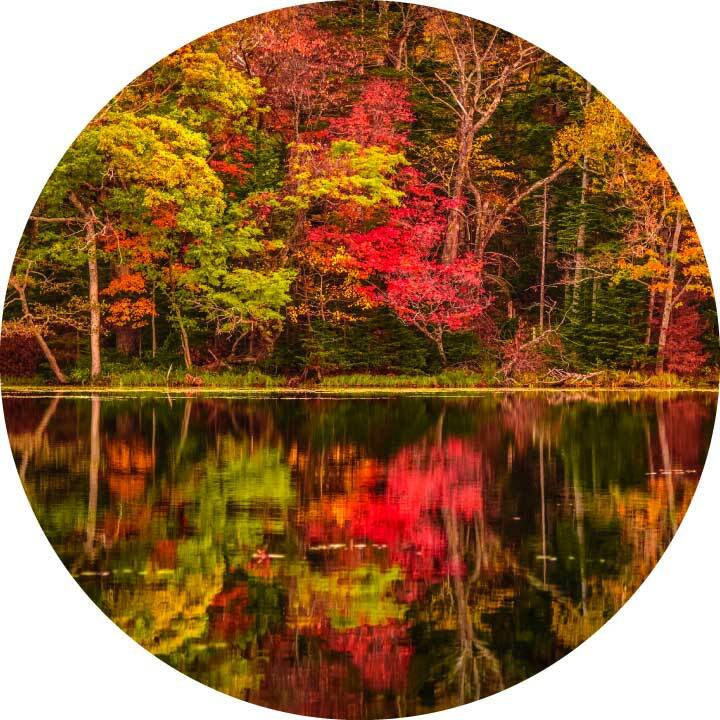 Check out our fall tour collection and let the gorgeous landscapes of the country serve as the stage for the wonderful memories you create with your friends and loved ones. This pond shifts in different shades of blue each season. The landscape also includes a gathering of withered and partly-submerged Japanese larch and silver birch trees, making the sight all the more captivating. 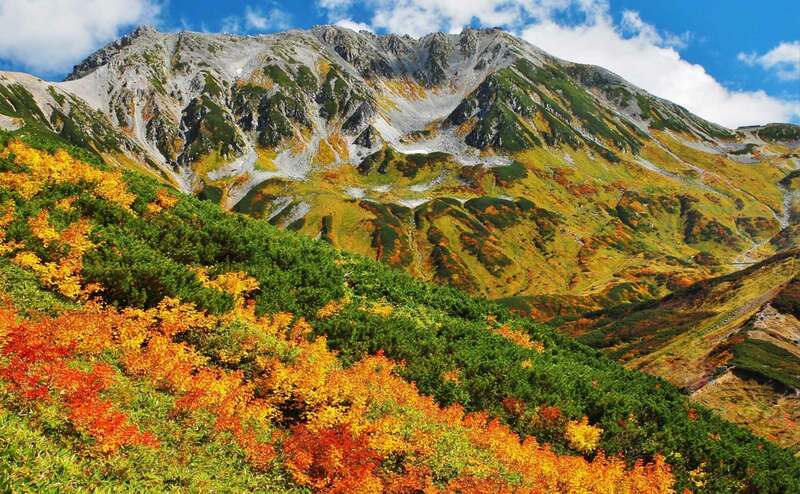 From the Ginsendai trail you can see the vibrant colors of the broadleaf trees blending beautifully with the greens of Mt. Akadake. 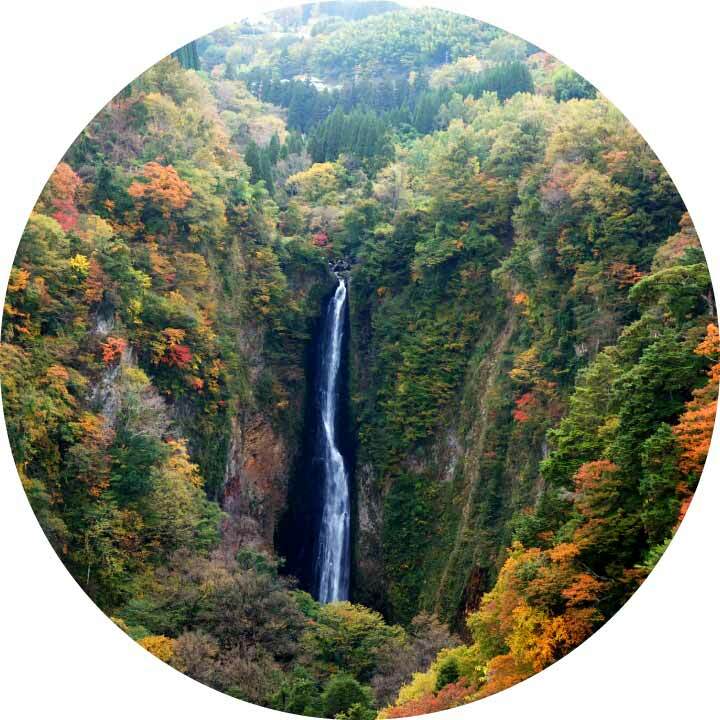 Enjoy the peaceful sights and sounds of Obako, and the Ginga and Ryusei Waterfalls. 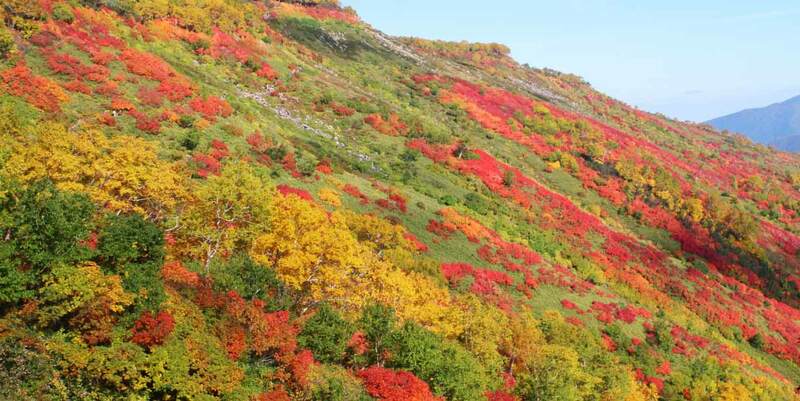 Usually the first among Japan's prefectures to exhibit fall colors, Hokkaido boasts stretches of land lush with trees that turn into fiery colors in autumn. 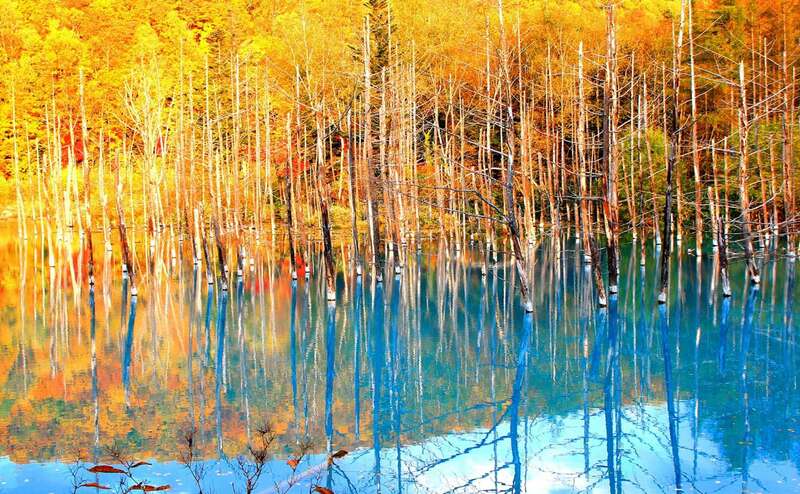 Nature lovers will love the Ginsendai Trail at Daisetsuzan National Park as well as the contrast between bright blue waters and yellow foliage at the Blue Pond. We also recommend taking a dip at a hot spring after long walks. 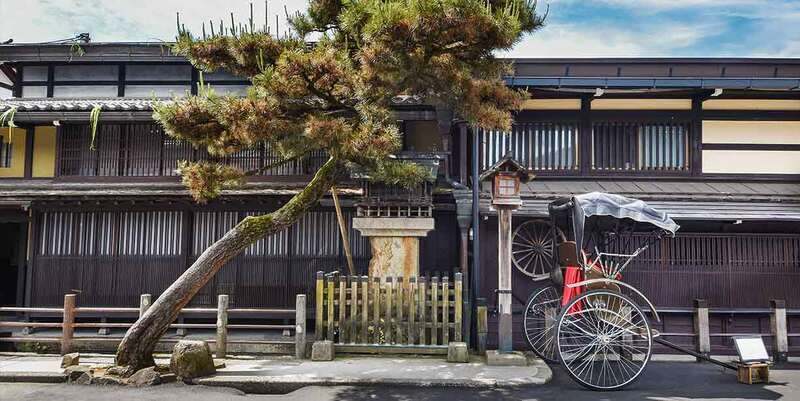 A small town with a deep cultural and religious history, Nikko is a perfect day trip from Tokyo. 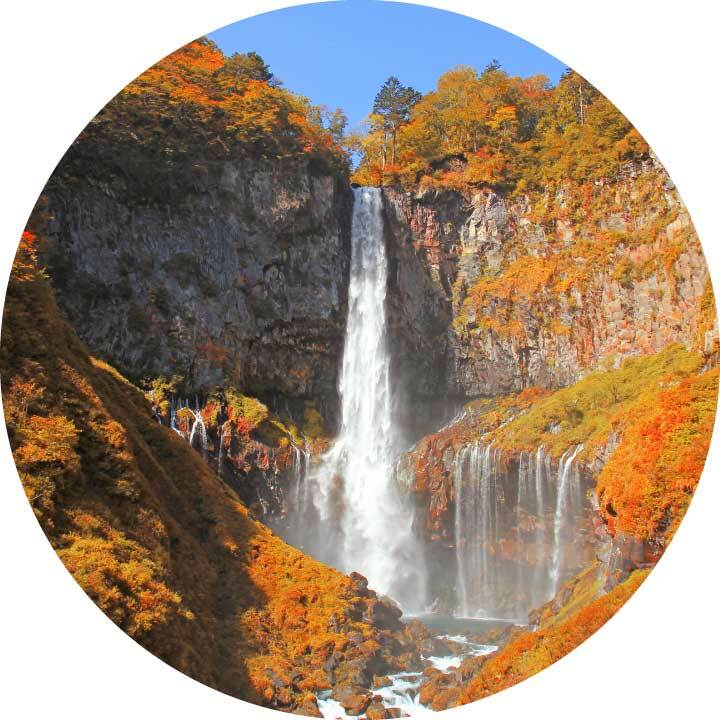 Gaze over the beautiful Chuzenji Lake and finish with a visit to Kegon Falls, one of Nikko's most impressive waterfalls. 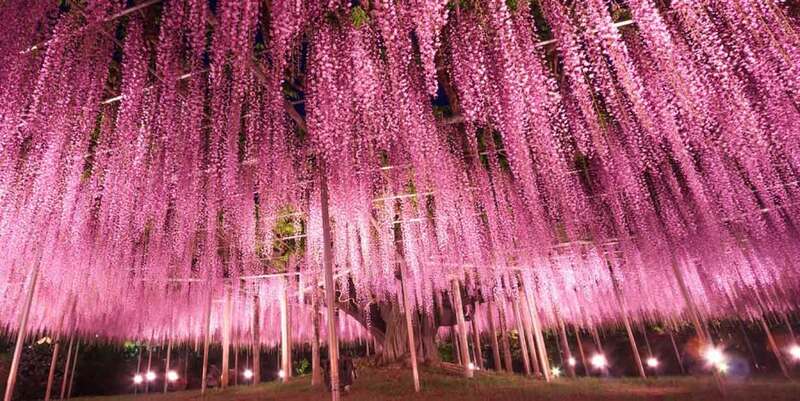 Witness a special light show called "The Miraculous Great Wisteria" which is inspired by the beauty of nature in the fall. Whether you want a relaxing river cruise or a thrilling rafting ride, Nagatoro is one of the best places to enjoy them. 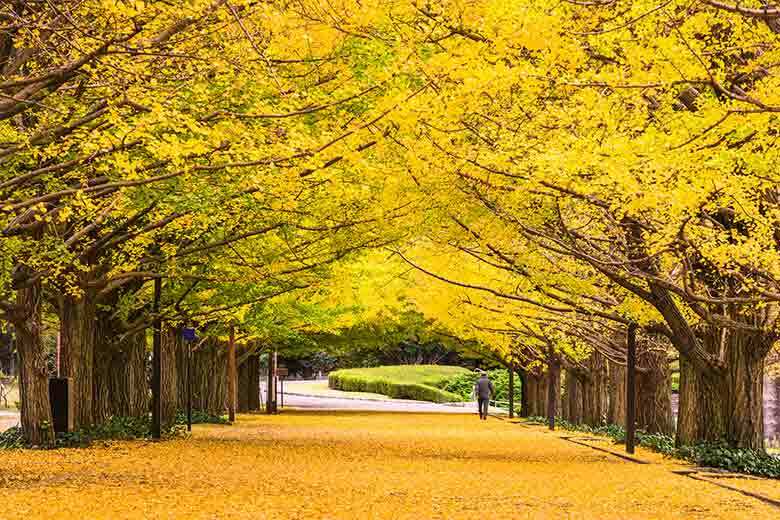 Surrounding the busy city of Tokyo are gorgeous landscapes with natural wonders and rich heritage. 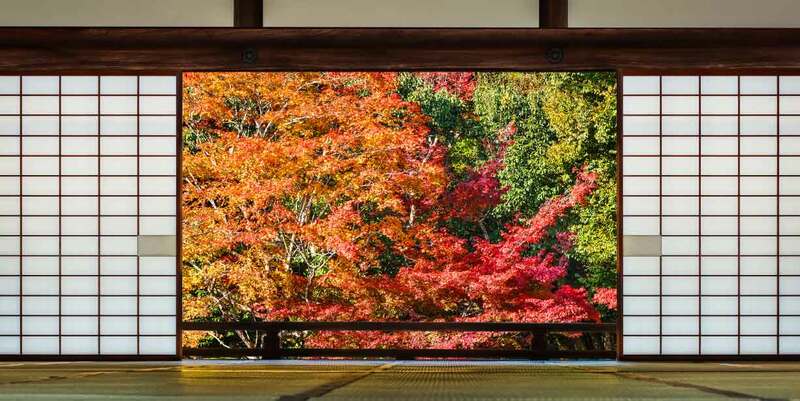 Go on a day trip to Nikko to see magnificent shrines as well as the beautiful Kegon Falls. The Maple Leaf Corridor near Mt. 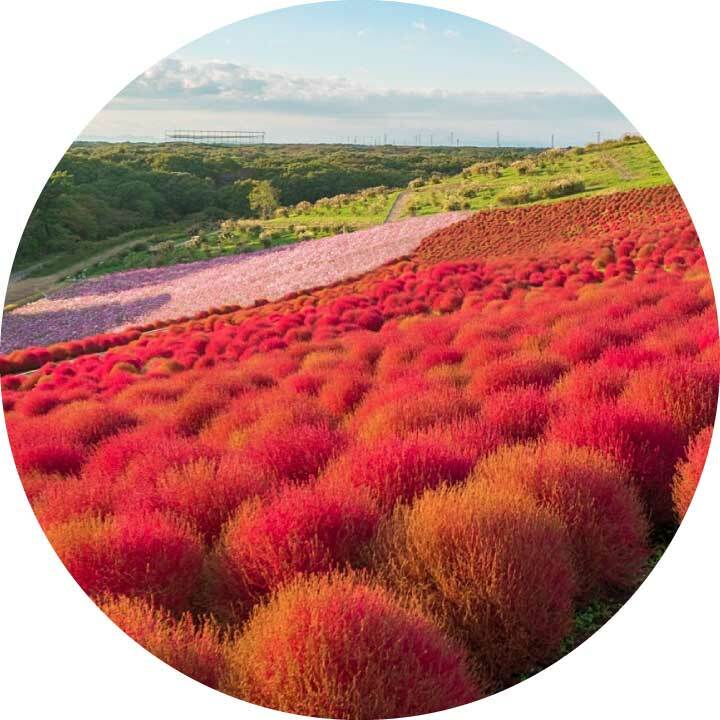 Fuji is picture-perfect, while the red spider lilies of Saitama and the kochia of Ibaraki provide charming alternatives to maple leaves. 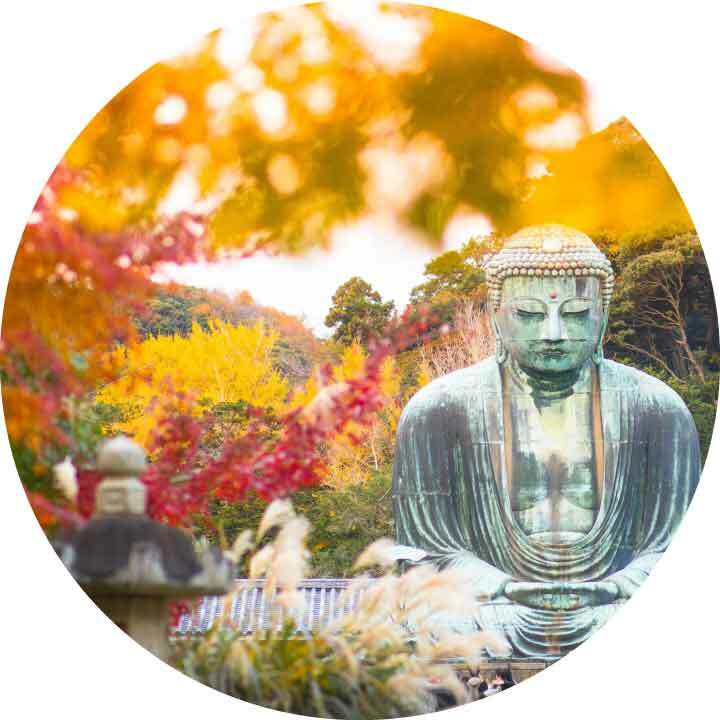 Kamakura's Great Buddha appears to be more relaxed than usual, too, as if enjoying the sight of autumn foliage. 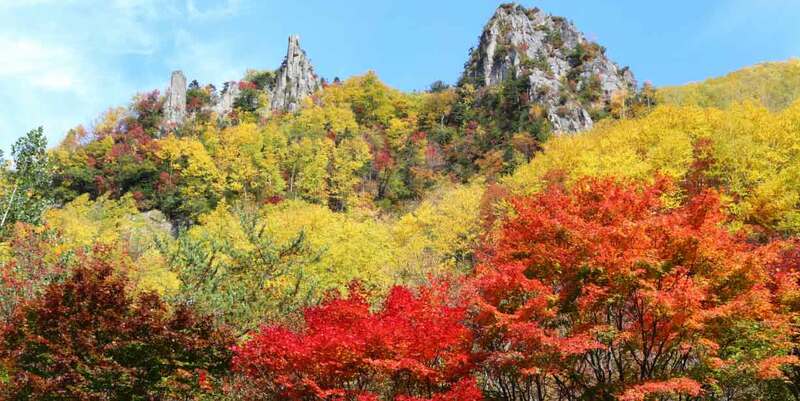 Admire the bright autumn colors dominating the region. 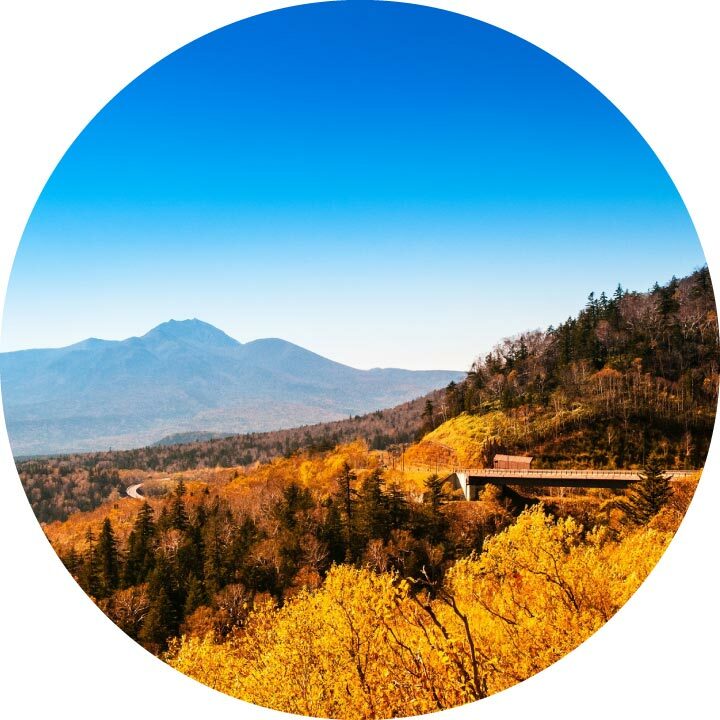 Hop inside a funicular at the Bijodaira station and ride across Japan's crimson and golden mountainscape. 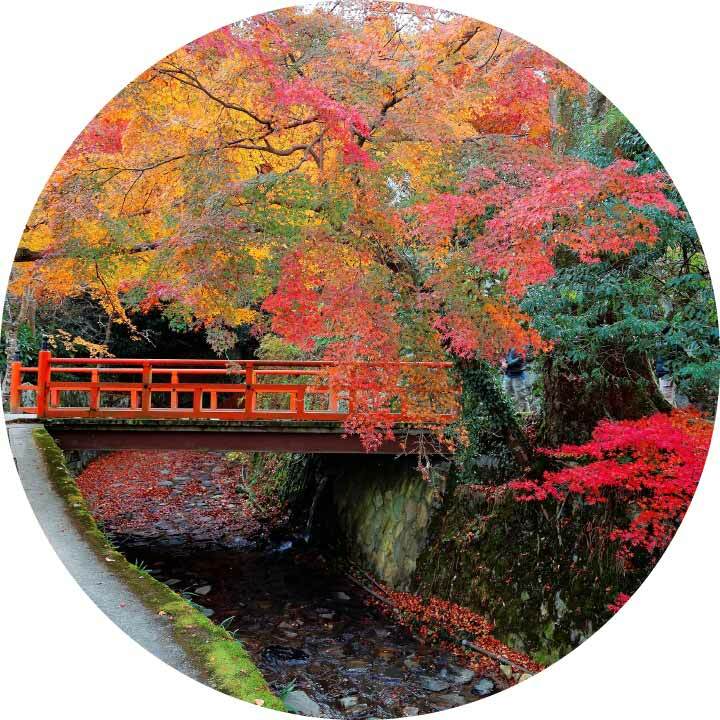 Explore the UNESCO World Heritage town of Hiraizumi, which shifts into a vermillion paradise during the fall season. A vast park that will take a whole day to fully explore. 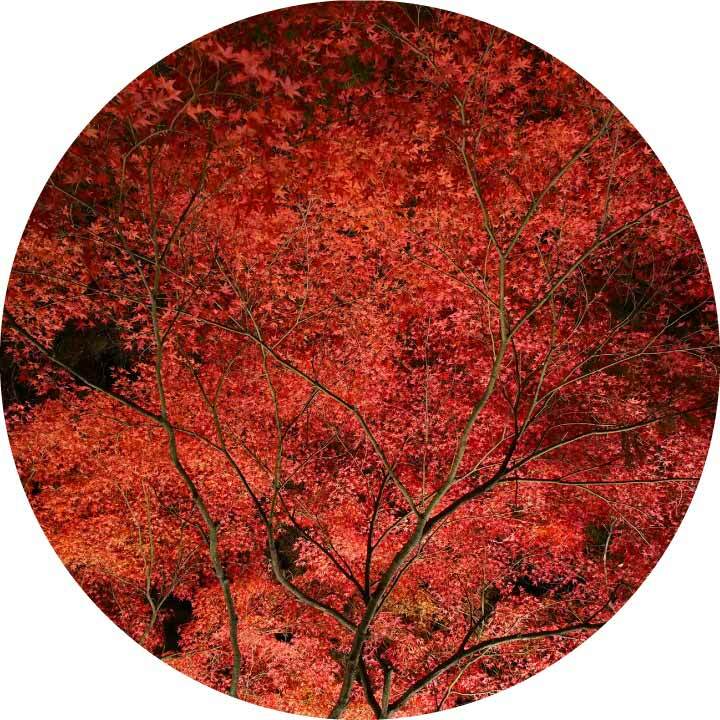 In fall, it comes alive with hues of red and orange as autumn foliage marks the season. 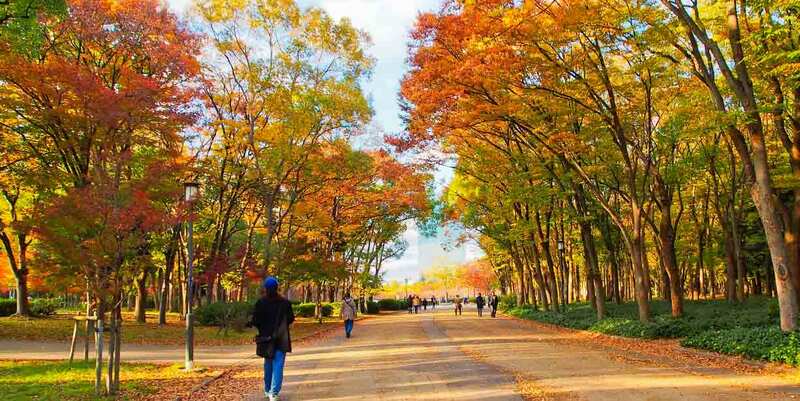 Tokyo is a great place to start your autumn journey. 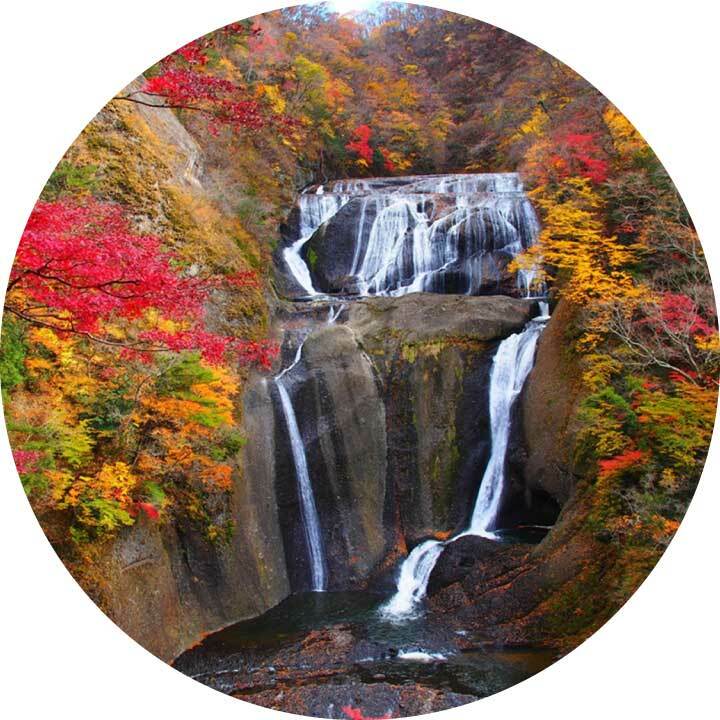 Check out the lovely Fukuroda Falls in the neighboring prefecture of Ibaraki or see the scenic mountains of Nagano. 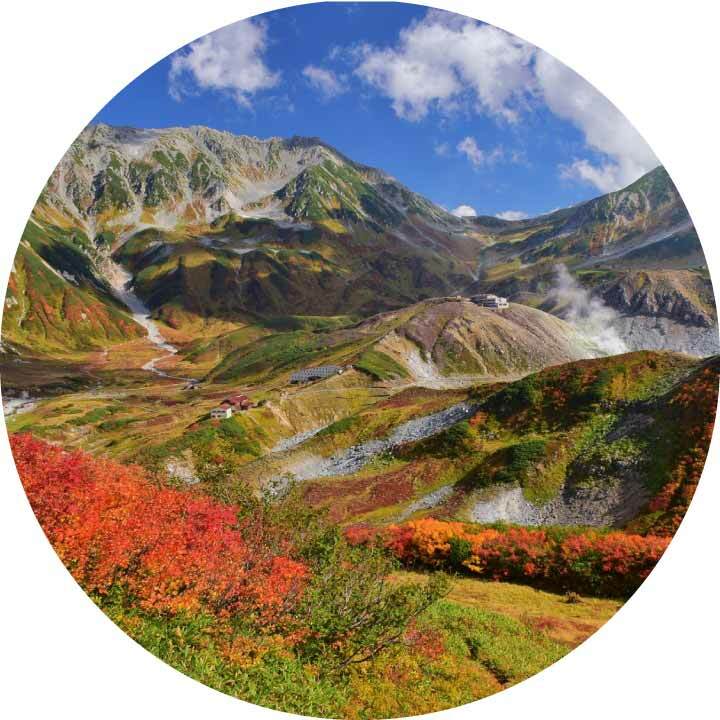 For an extended excursion, go on a multi-day tour to follow the Alpine Route or see the best sights of Northeast Japan. 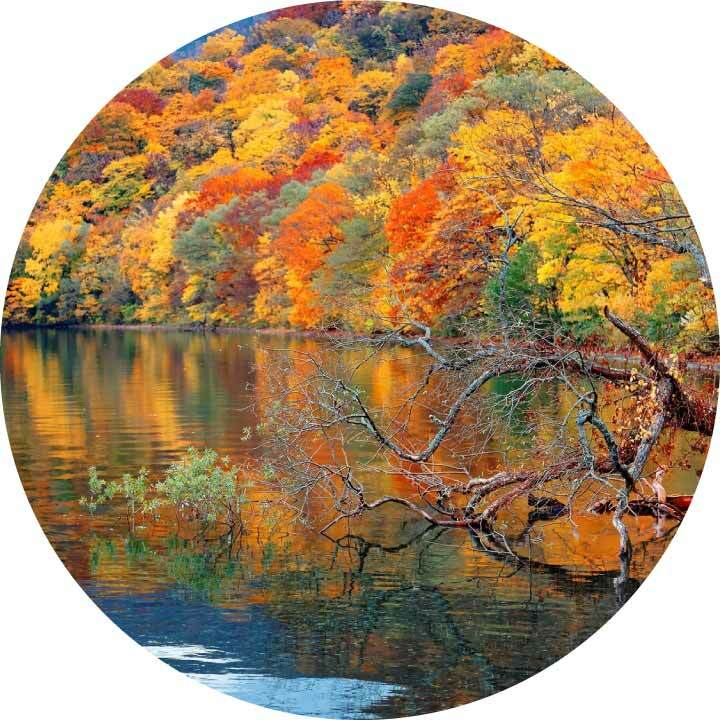 Enjoy the colors of autumn as a retro train takes you on a leisurely ride. 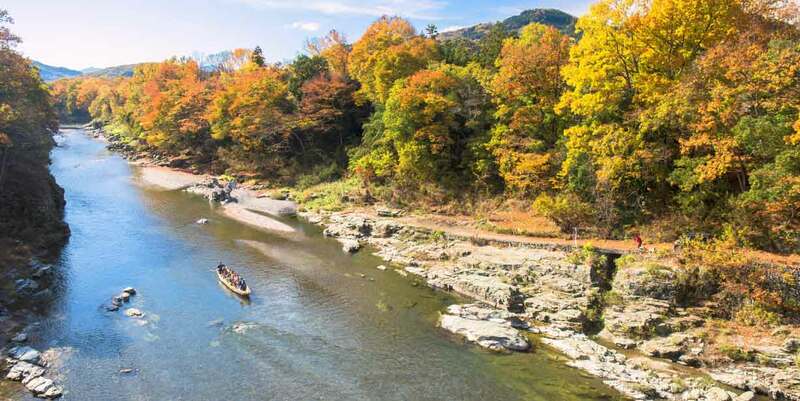 Hop on a traditional boat and marvel at arresting sights as you make your way down the Hozugawa River. 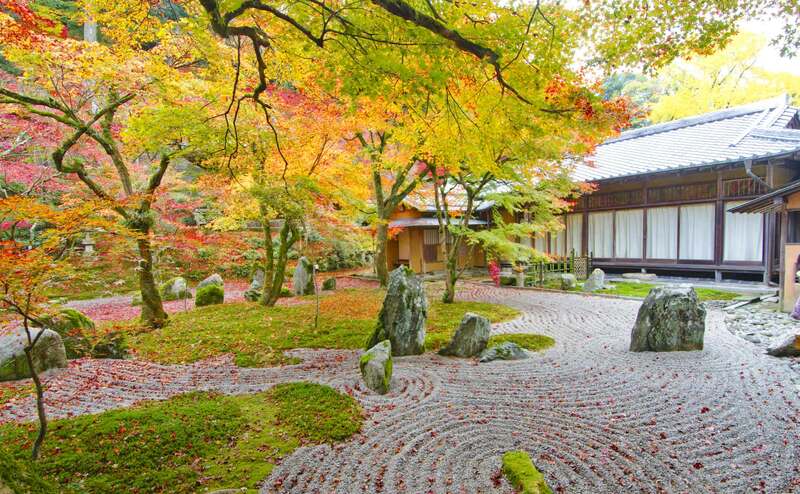 Feel the forces of nature at work in this glorious area of rural Kyoto. 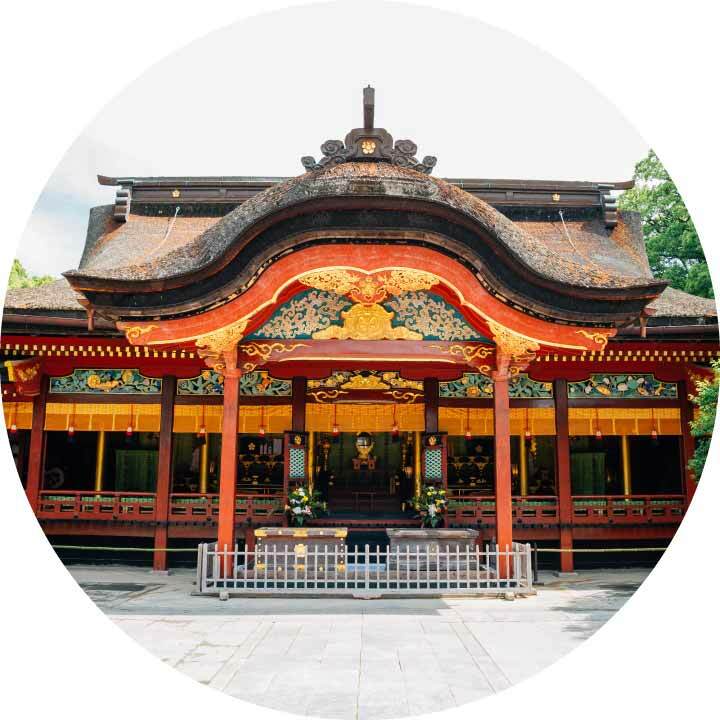 Get a good look at Tenryuji Temple, the head temple of a major branch of Zen Buddhism. The "Temple of the Silver Pavilion" is known for its beautiful Zen rock garden, traditional landscaping and architecture. 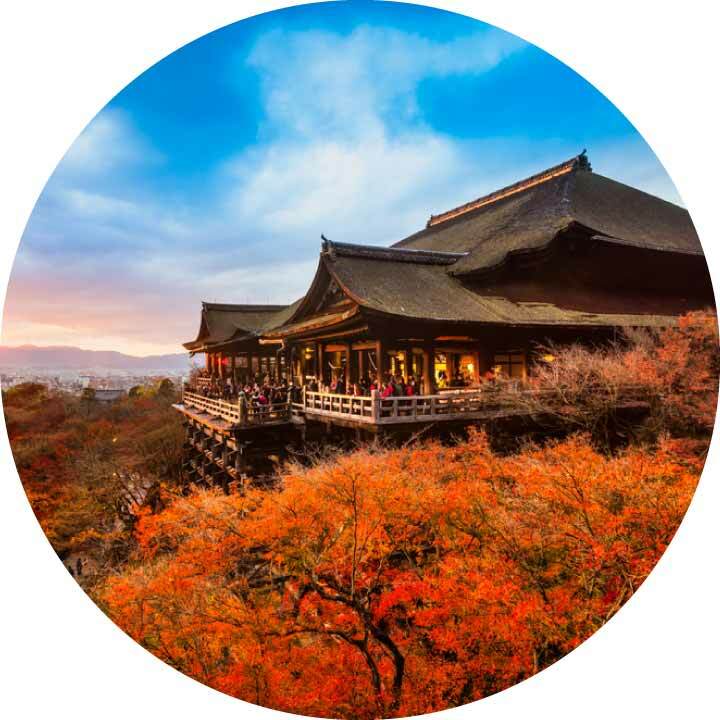 See favorites such as Kinkakuji (the Golden Pavilion), Ginkakuji (the Silver Pavilion) and Kiyomizudera in their autumn glory. 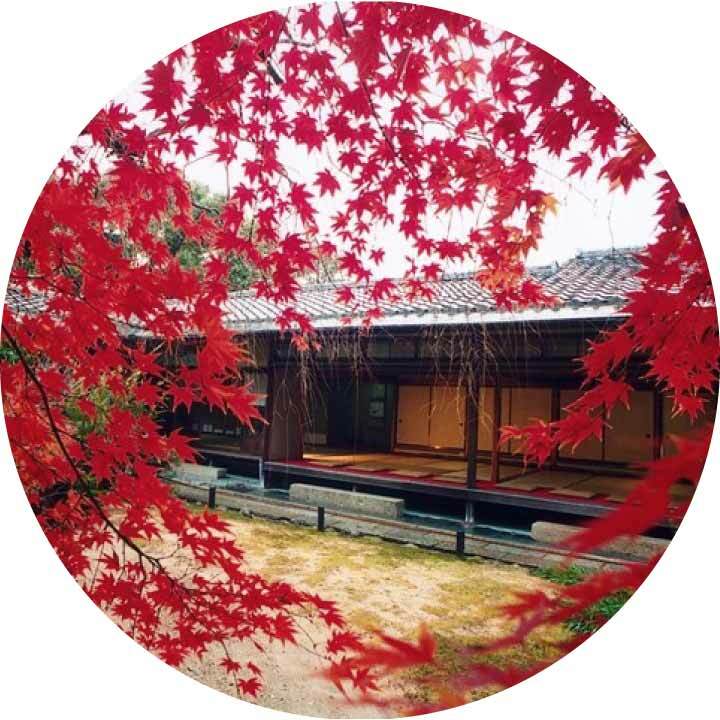 Grab the opportunity to enjoy Kyoto cuisine while gazing at the red maple leaves of Myoshinji Taizoin and Kitano Tenmangu. 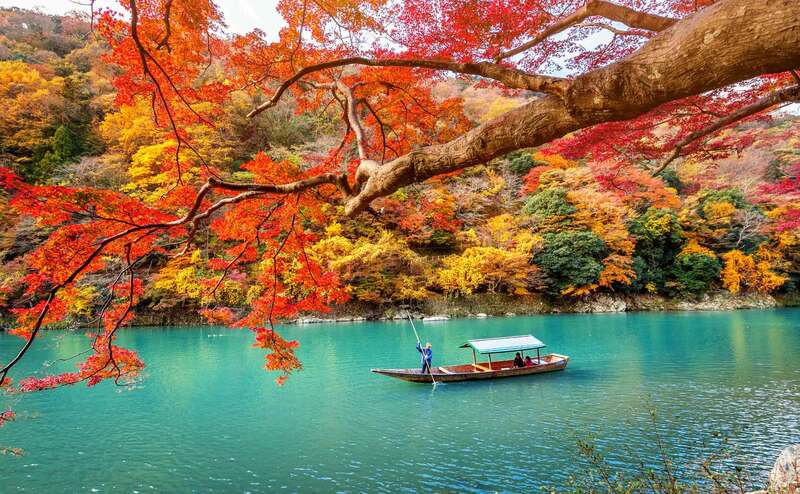 Go on a romantic boat ride on the Hozugawa River and make your way to Arashiyama with these tours. 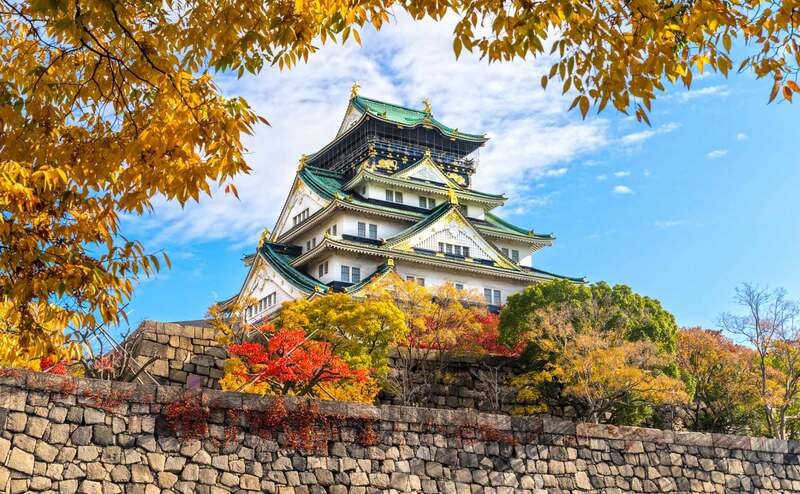 Make way to the grand castle of Osaka. 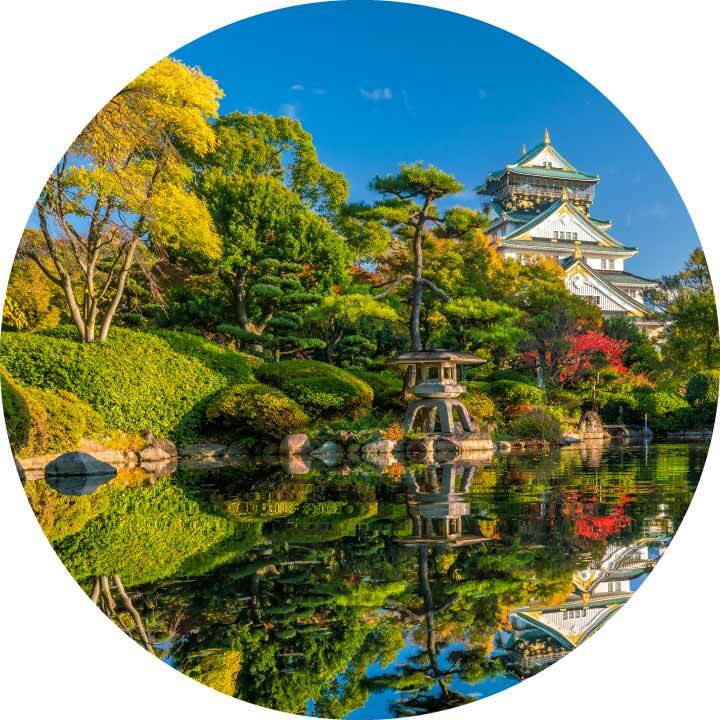 See a Japanese castle up close and go inside to learn more about the history of Japan and how the castle played a major role during the nation's unification. 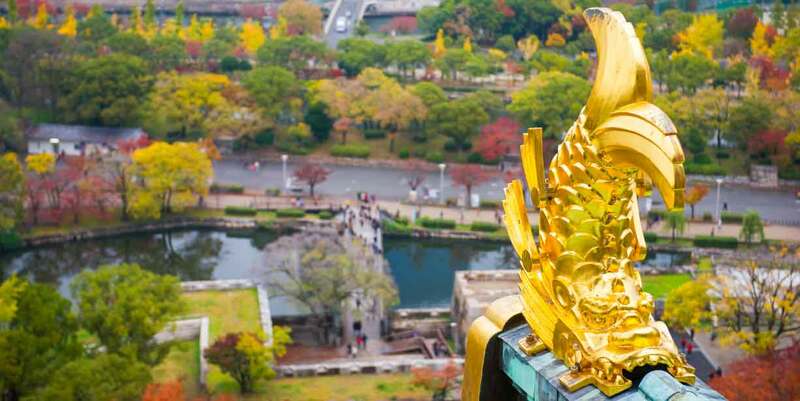 Enter the Castle Tower Museum to get great panoramic views of Osaka from the observatory. 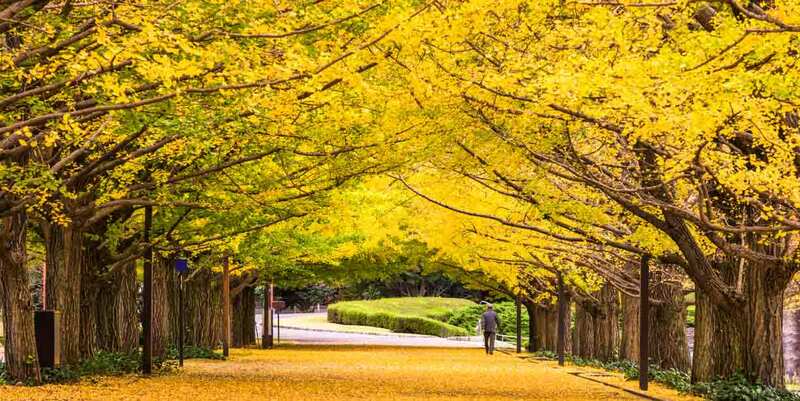 This park is colorfully embellished from season to season, and is particularly beautiful during the autumn leaves seasons. Japan's food capital is not just known for its mouthwatering delicacies. 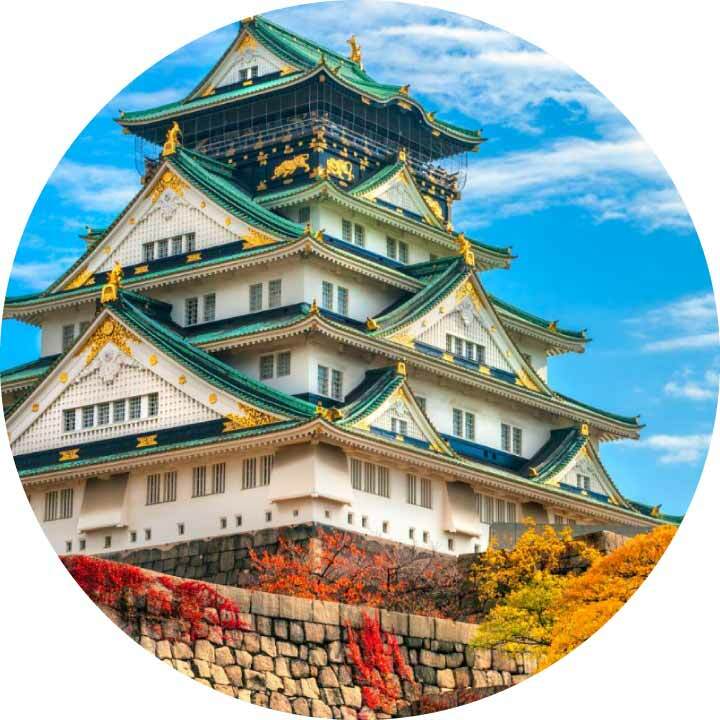 Check out the handsome Osaka Castle or explore Midousuiji for beautiful sights that capture the heart. 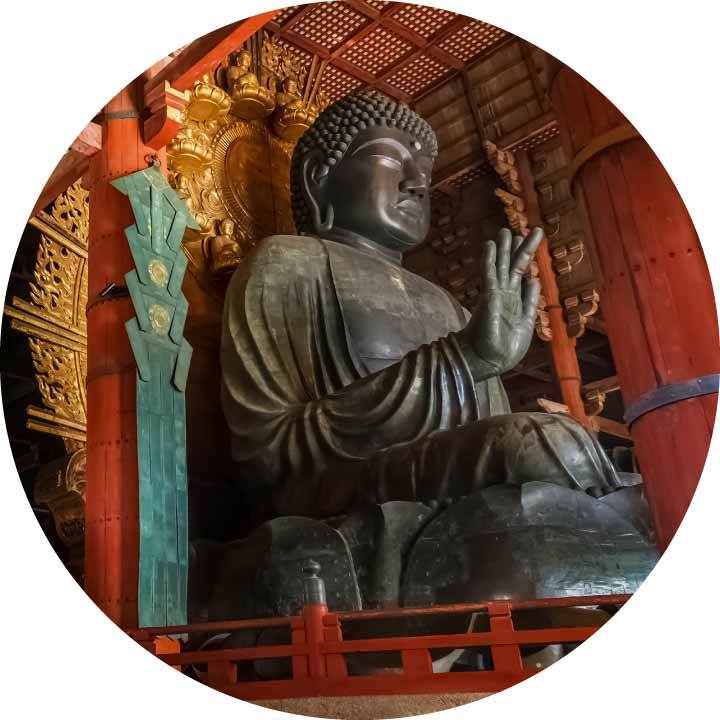 Todaiji is a World Cultural Heritage Site and home to the largest bronze Buddha statue in the world, housed by the largest wooden building in Japan. 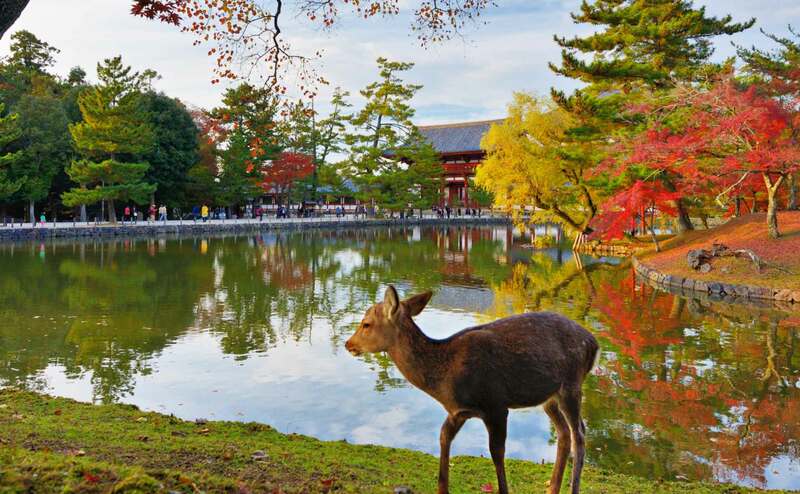 Nara Park is a place of scenic beauty, there are over 1,200 deer roaming freely throughout the park. 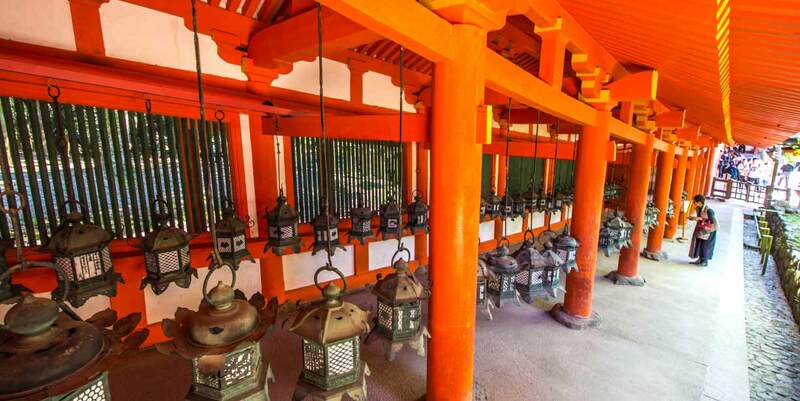 This historical Shinto shrine dates back to 768 and is known for its numerous bronze and stone lanterns on the grounds. 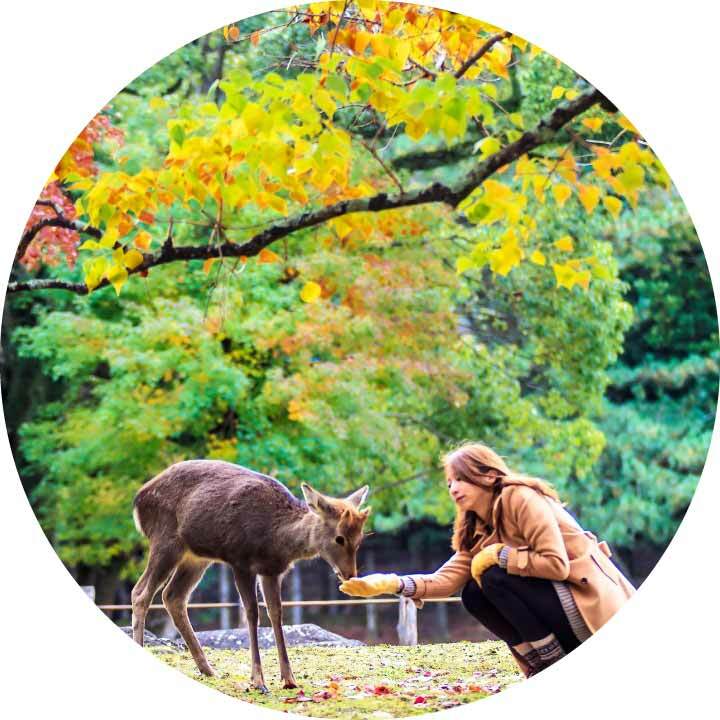 Hang out with Nara's deer as you check out lovely temples and shrines including Kasuga Taisha and Todaiji. 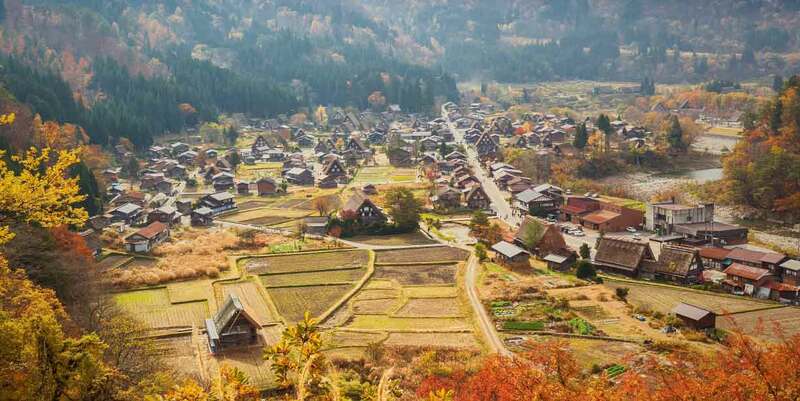 Hop on board and make your way from Nagoya to the traditional thatched roof house village of Shirakawago. 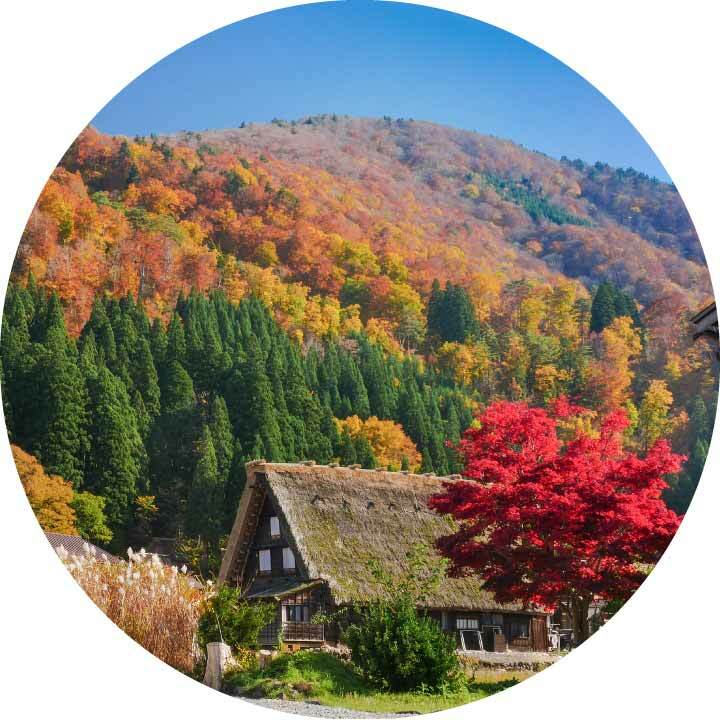 Stroll around this traditional farm village, and visit the 'gassho-zukuri farmhouses', some of which are more than 250 years old. Hida Takayama retains a beautifully preserved old town, as well as many temples and shrines. 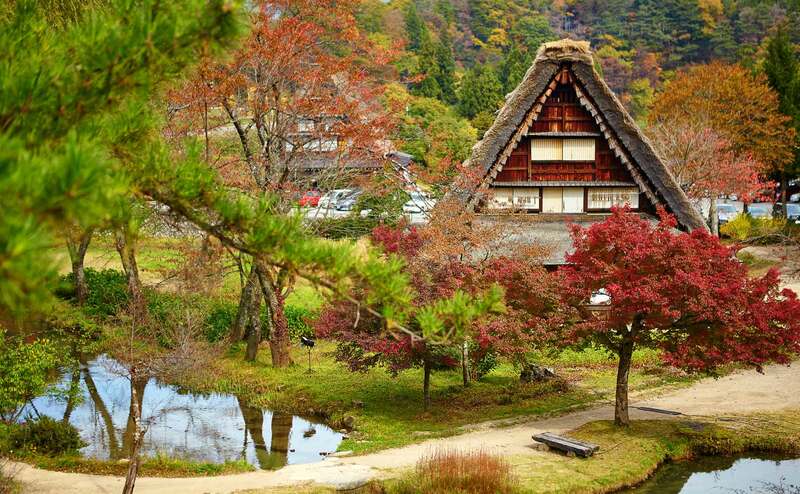 Fall in love with the charming village of Shirakawa-go and admire its historic thatched roof houses. 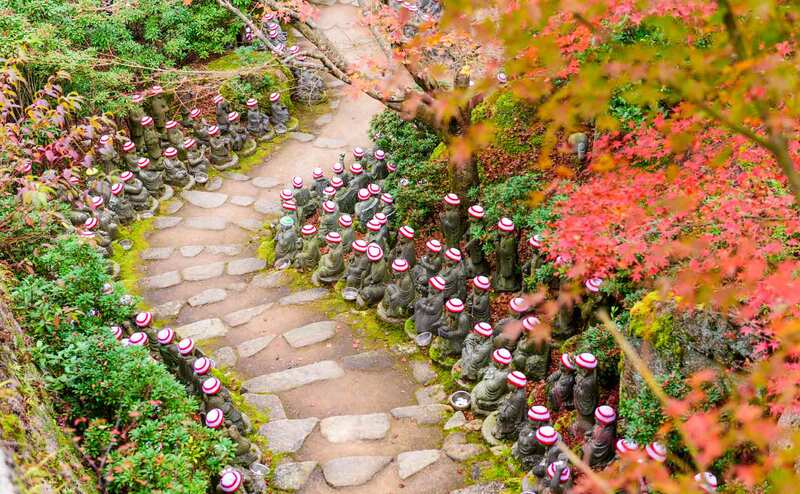 Discover the history and culture of Miyajima through your hike up Mt. Misen in Miyajima. Pass by stone Buddhas and massive rocks marking the distance of your route. 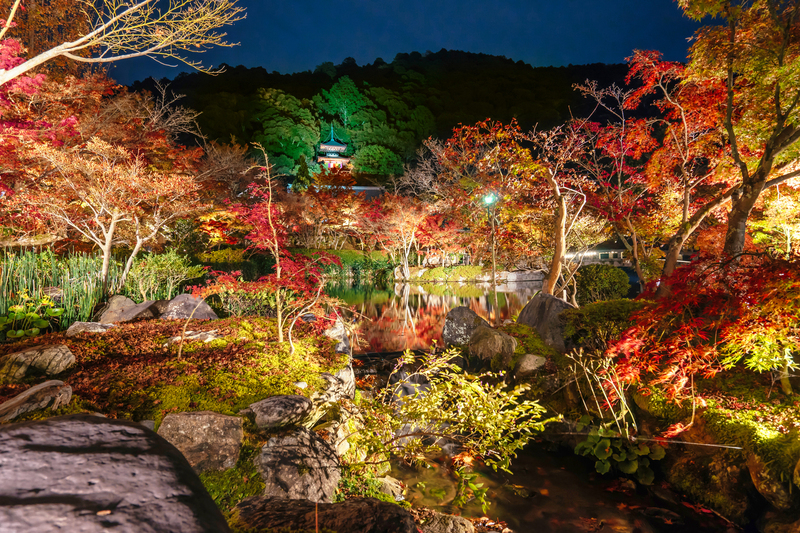 This shrine is a World Heritage Site in Miyajima. 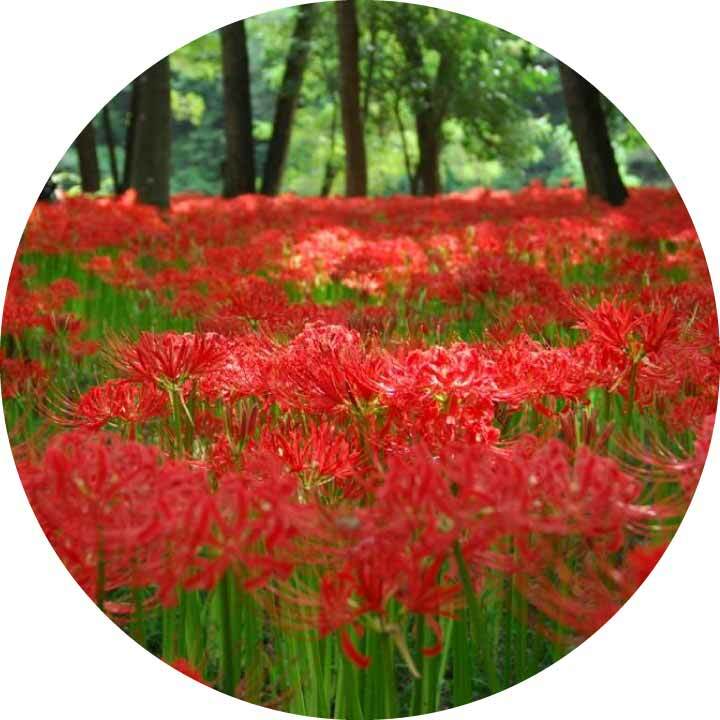 Established in the 6th century it is famous for its beautiful Shinden-zukuri style structure. 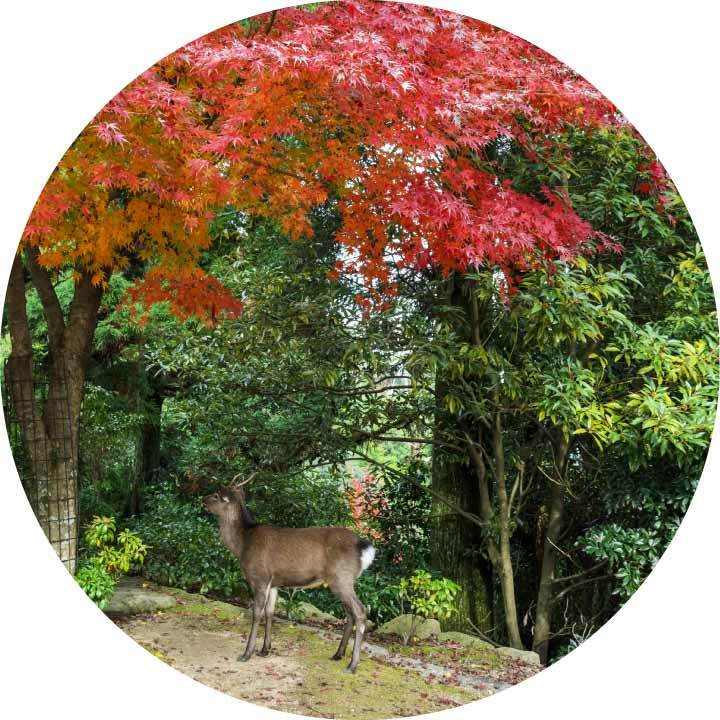 Look forward to seeing wild deer in the abundant nature of Miyajima. 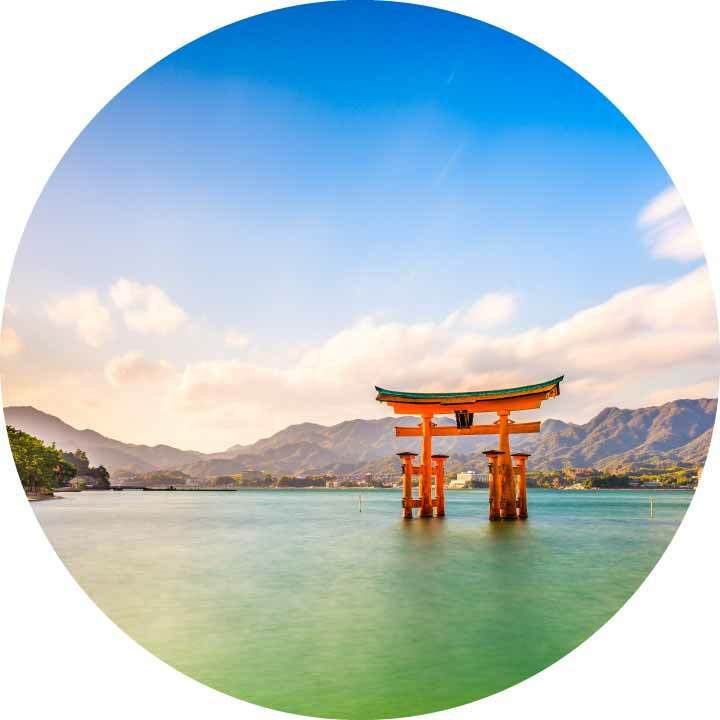 Let Miyajima mesmerize you with its unmistakable allure. 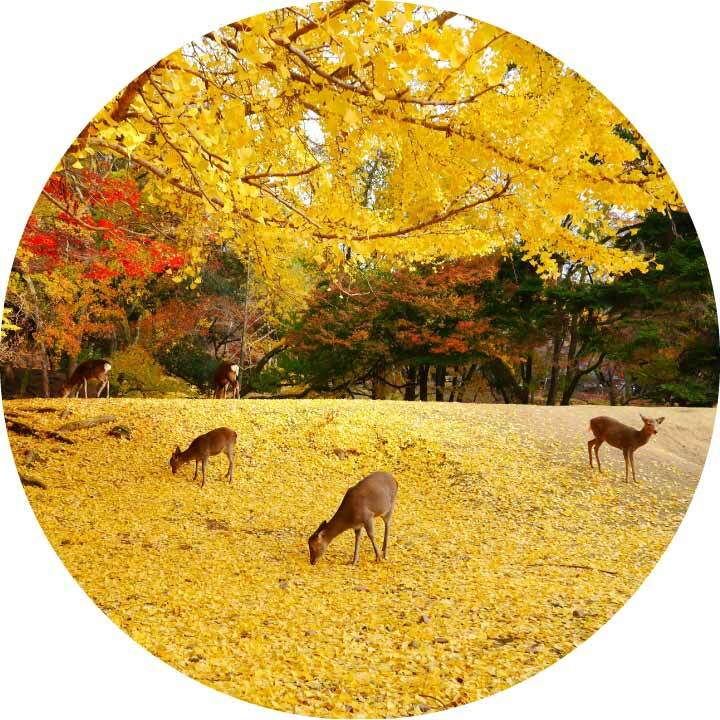 Play with deer, go hiking at Mt. 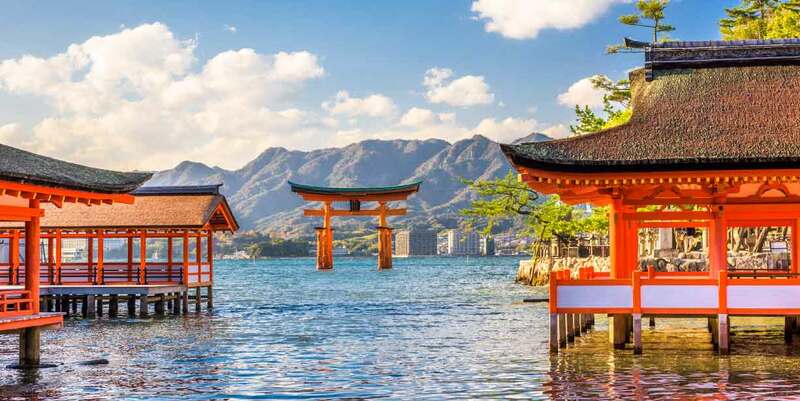 Misen, or simply gaze at the exquisite beauty of Itsukushima shrine. 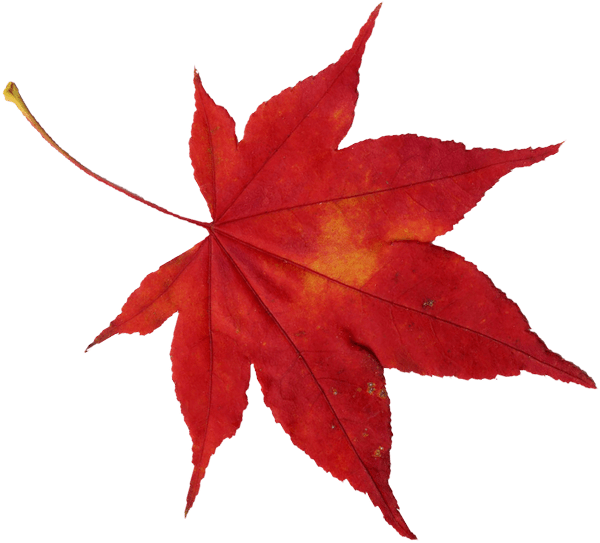 Don't forget to try maple leaf sweet buns while you're in the area! 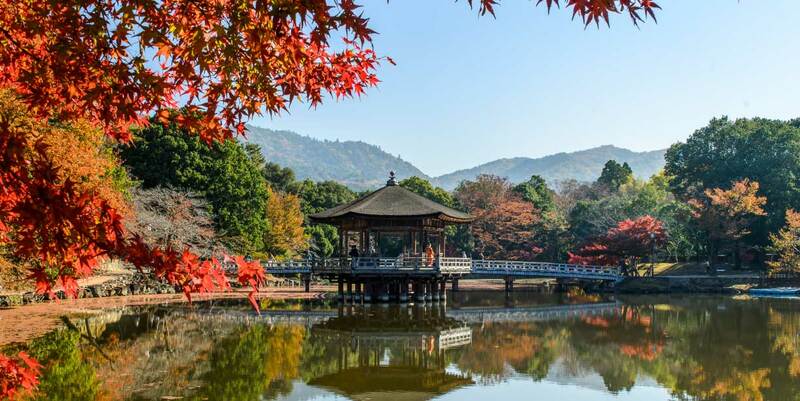 Pay a visit to one of the three major Shinto Shrines of Japan, the Dazaifu Tenmangu. This shrine is dedicated to Sugawara no Michizane along with other Tenjin Gods of Japan. 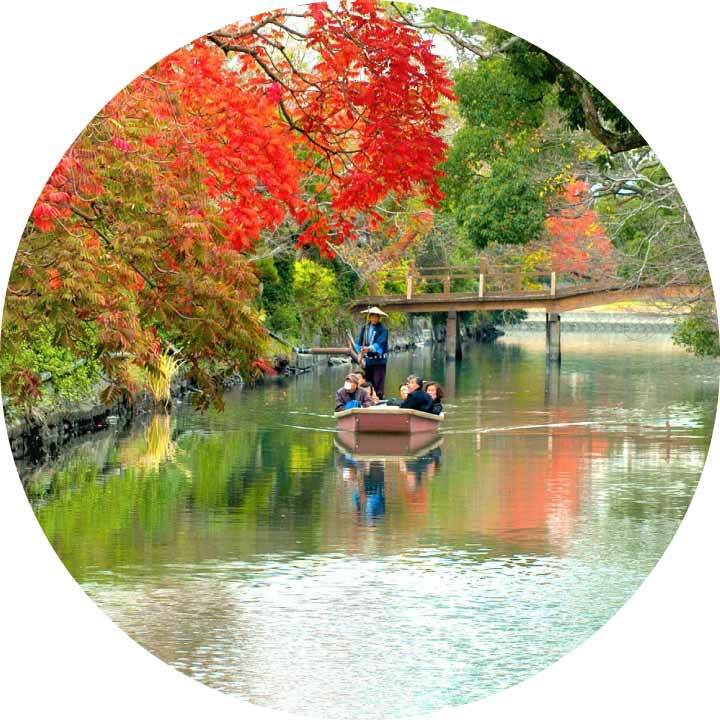 Ride a wooden boat and enjoy a cruise on the Yanagawa River. 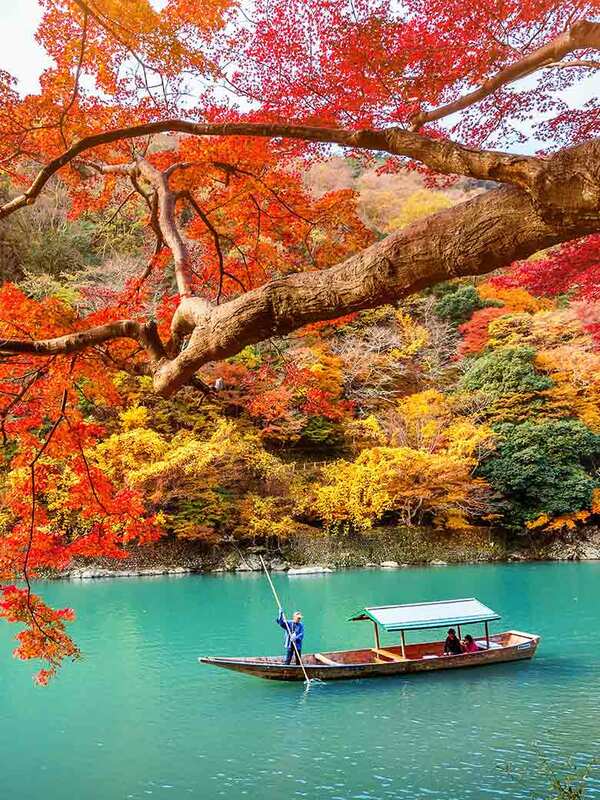 With charming scenery every season, the boat ride is a must when visiting Kyushu. Stroll through the retro city with traditional houses before making way to the hot springs to take a relaxing dip. 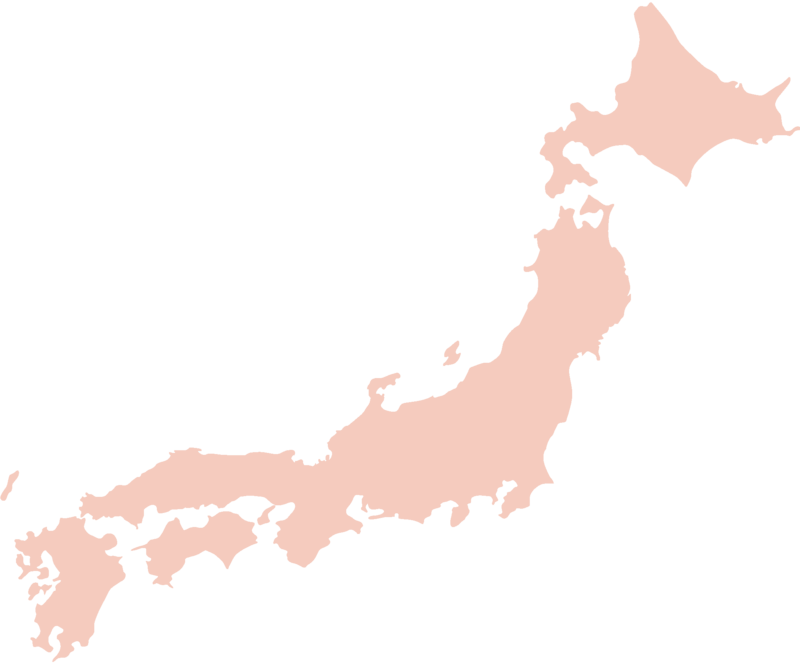 Start your trip in Fukuoka and explore Kyushu! Take in the view from Japan's tallest suspension bridge called Kokonoe Yume. 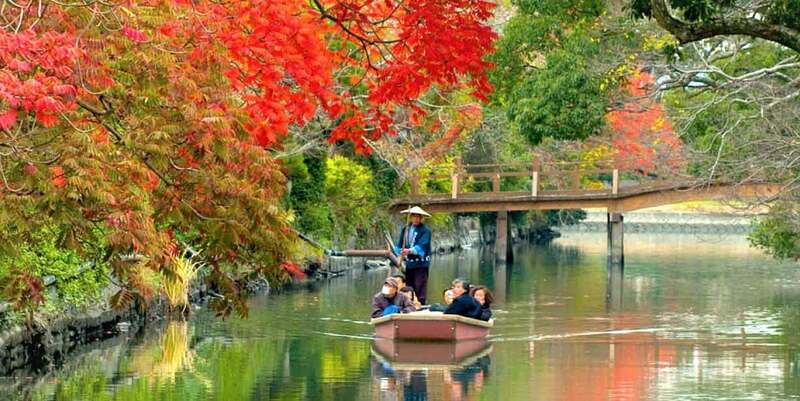 Hop in a wooden boat and go on a cruise down the Yanagawa River. Cap off your day with a relaxing dip at Kurokawa Hot Springs. 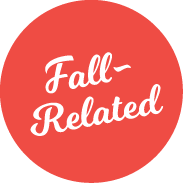 In the early weeks of fall, temperatures tend to range between 20-29ºC (68-46°F), dropping slightly in the evening as well as the early hours of the day. Temperatures drop to lower than 15ºC (59°F) midway through, and lower than 10ºC (50°F) closer to winter. Clothing that covers the whole body is advised, in particular, long-sleeved shirts and pants. Women who prefer skirts to pants usually wear light stockings or slightly opaque tights. Light scarves and boots are also common during this season. Hats help in keeping the body warm, as heat tends to escape from our head. In the colder weeks, a light coat would also come in handy. 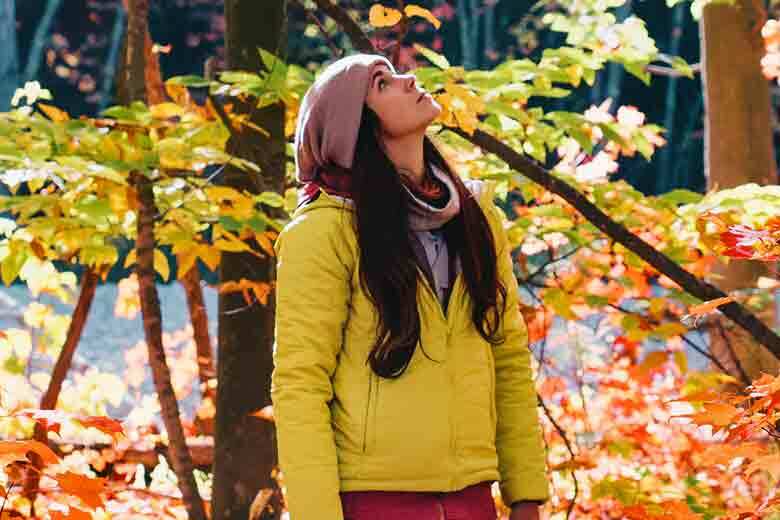 During the fall season, it's best to layer up so that you can adjust your clothing as the temperature changes within the day. 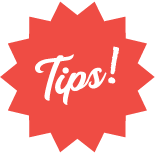 Most department stores and major clothing shops carry thermal undergarments which add more warmth for travelers who are not particularly used to colder temperatures. This simple dish is a staple in autumn and is often enjoyed grilled and lightly salted. Seafood lovers will enjoy its crispy skin and fatty meat. 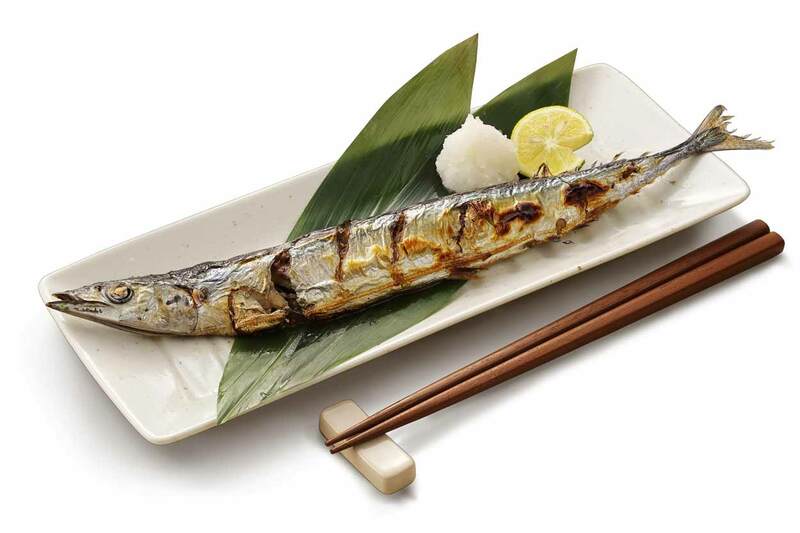 Grilled sanma goes best with white rice, with soysauce, lime and grated radish on the side. 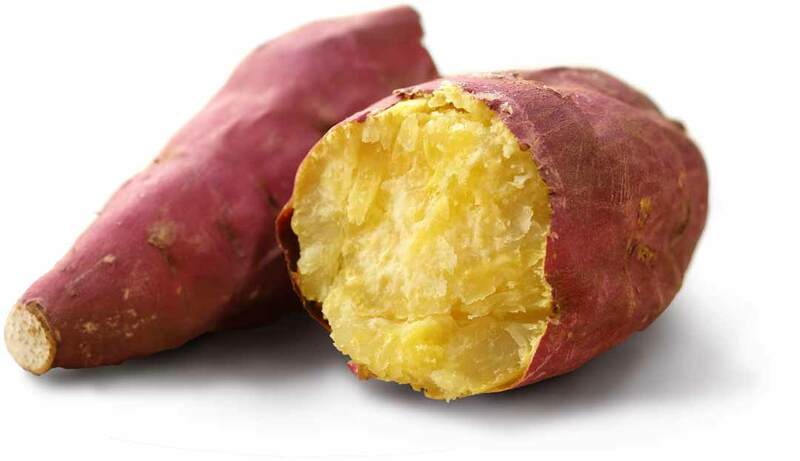 Known as "yaki imo" in Japanese, sweet potatoes are a well-loved autumn snack. You can find them in food stalls and food trucks as well as in supermarkets. 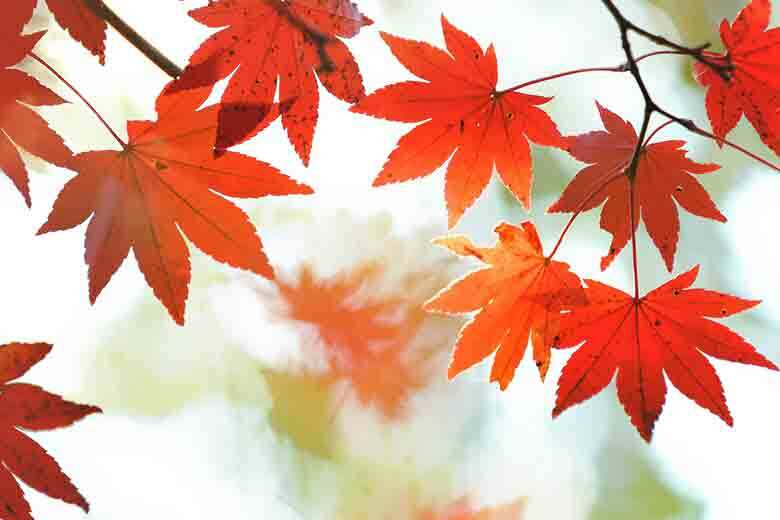 Enjoy them hot and fresh from the oven as you gaze at autumn leaves. Midly sweet and juicy, this orange-colored fruit is best enjoyed fresh as a dessert or snack. 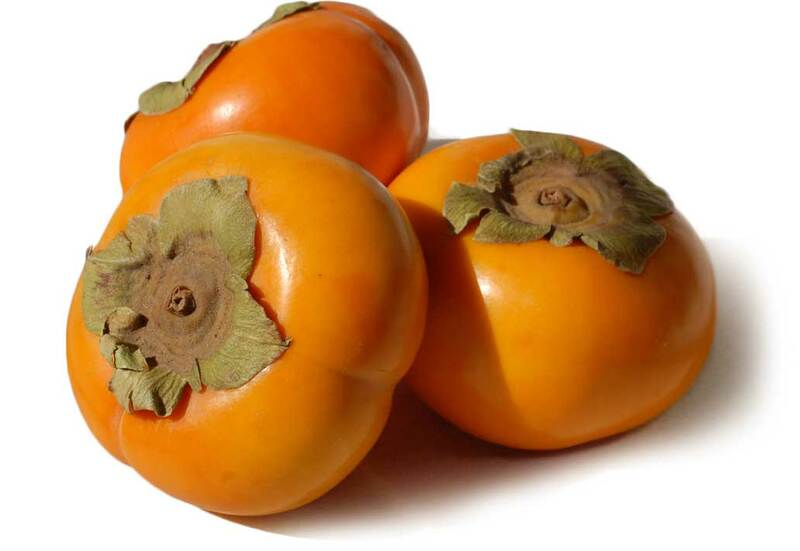 Supermarkets often brim with persimmons during fall, but you will also find persimmon cakes and tarts in bakeries and pastry shops. 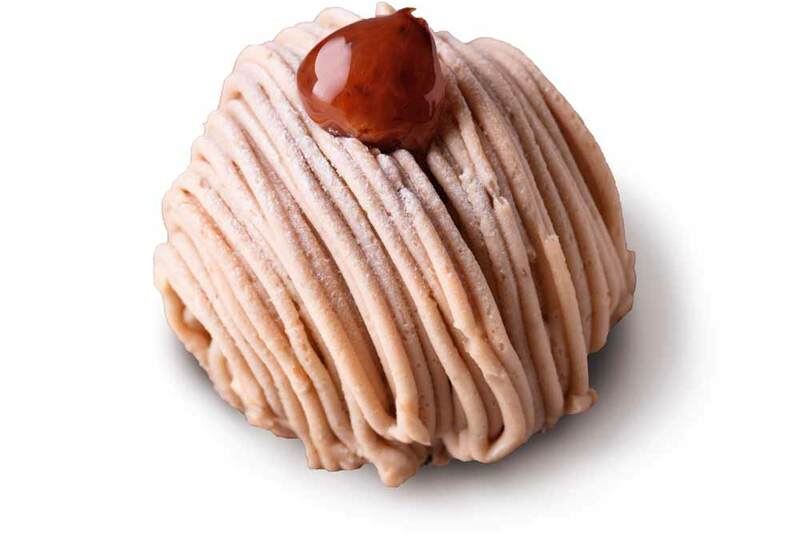 Chestnut-flavored sweets are available all year round but are particularly popular in autumn. 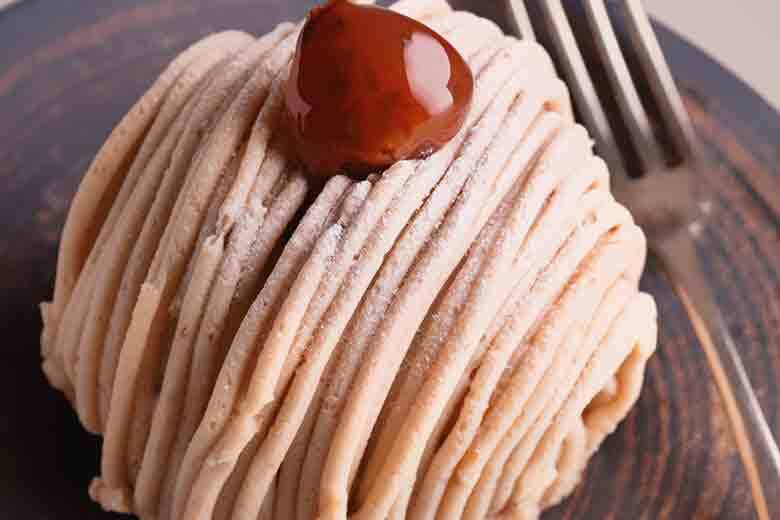 From convenience stores to high-end patisserie, chestnut comes in different forms and variations, the most popular of which is the classic mont blanc. Just as pumpkin is a symbol of autumn in Western countries, Japan loves to be creative with its kabocha (squash) dishes in fall, too. 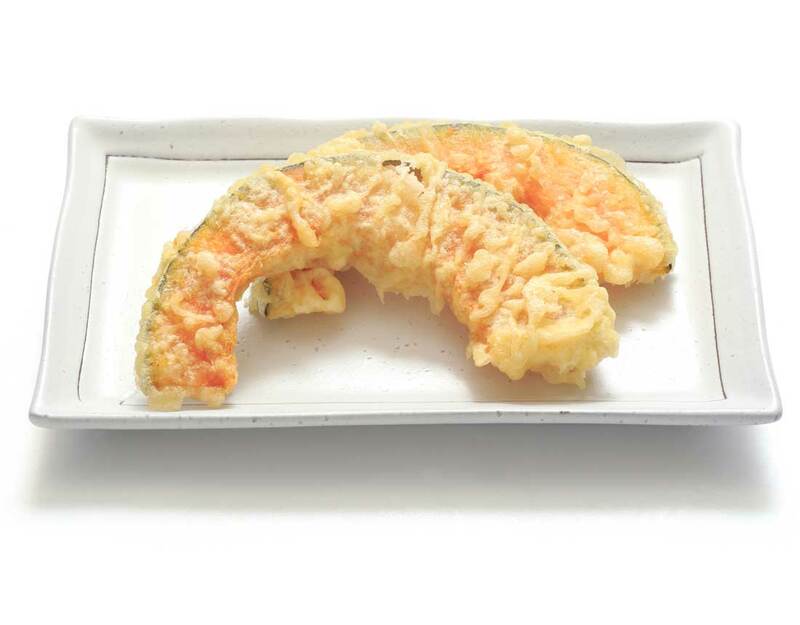 Kabocha tempura and kabocha croquette are among the crowd favorites. Whether you like them grilled, dipped in batter and then deep fried or as an ingredient in hot pot dishes, you will find many restaurants that serve mushrooms at this time of the year. 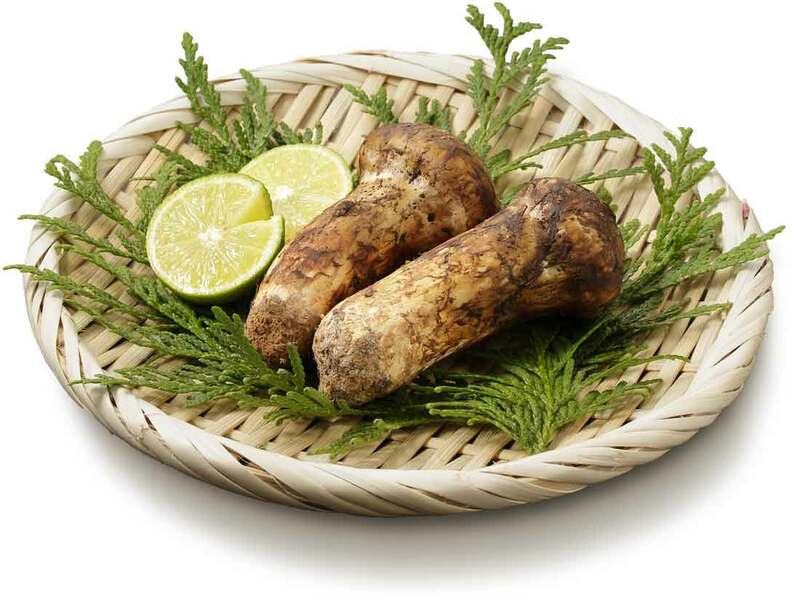 Matsutake, maitake and shiitake are the varieties that are particularly abundant during this season. 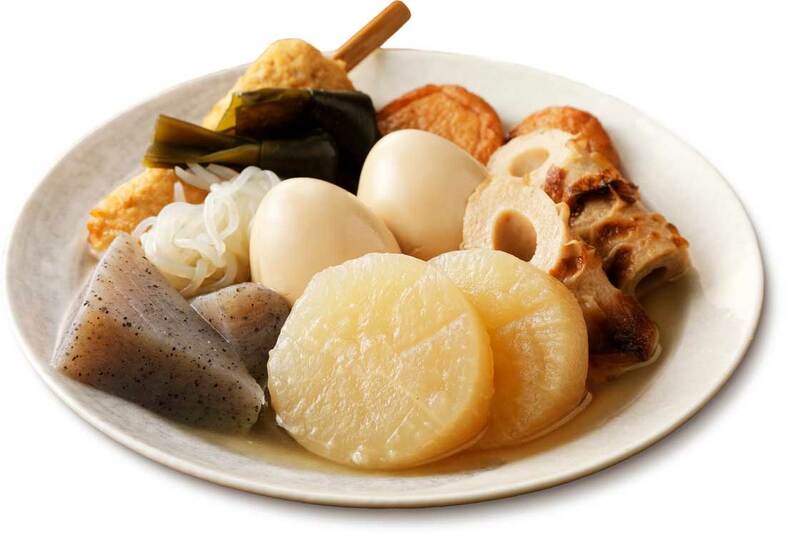 Everybody's go-to comfort food during the colder seasons, oden is a variety of ingredients—fishcakes, sausages, boiled eggs and more—cooked in savory broth. You can find them in most convenience stores as soon as September kicks in. For a more in-depth experience, we recommend eating oden at a drinking bar, coupled with good sake.